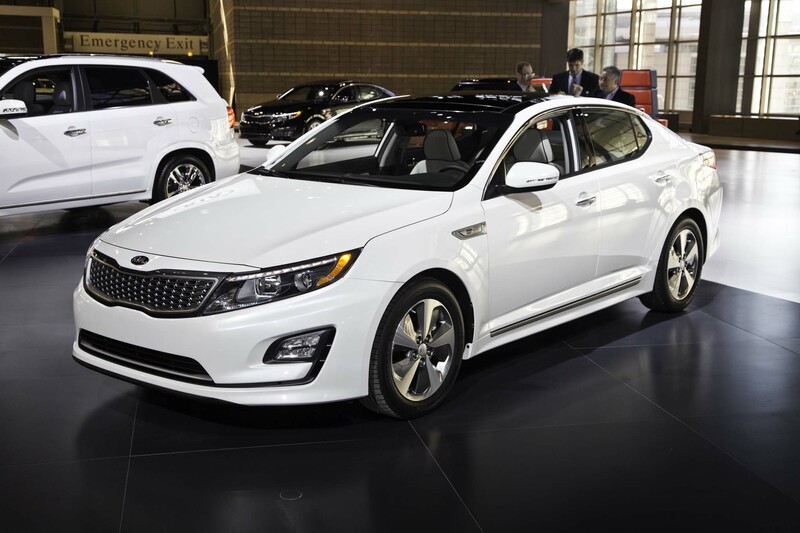 Las Vegas — We’ve always found that the Kia Optima excelled more in the looks department than in terms of driving dynamics, so it’s a shame that the refresh for the 2014 model year focuses almost exclusively on design. 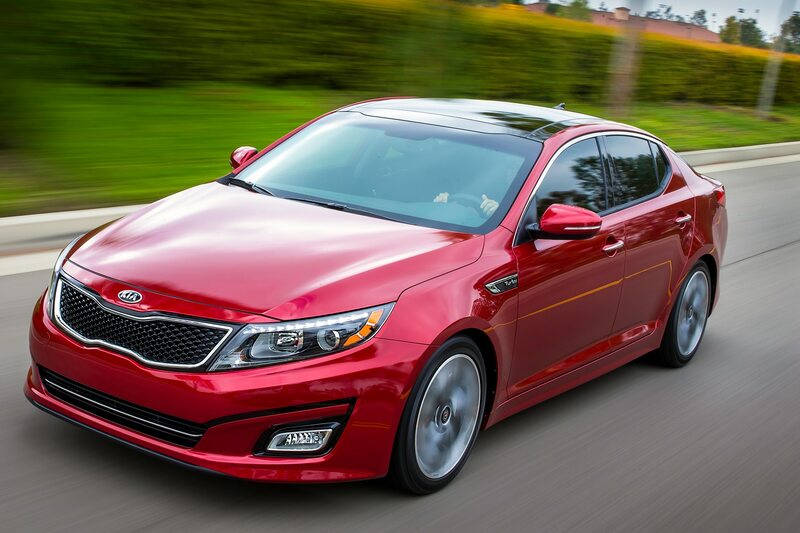 Nonetheless, the updated Optima remains an appealing midsize sedan that’s high on both style and — when fitted with the turbo engine — power. 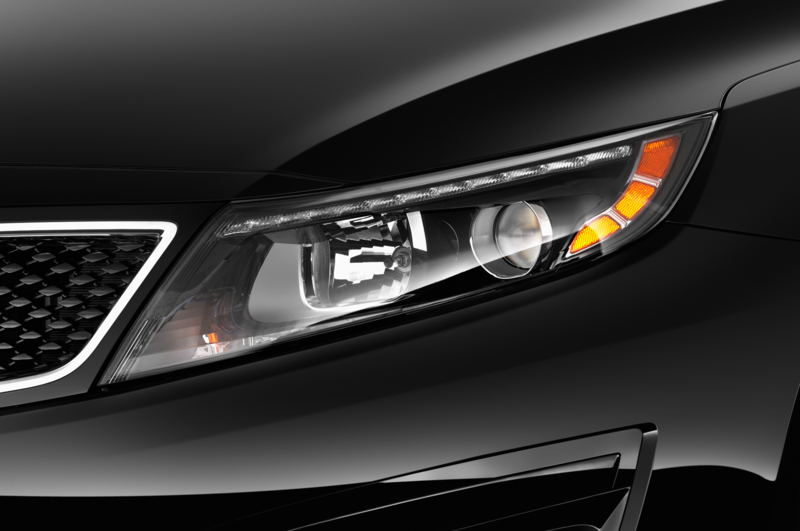 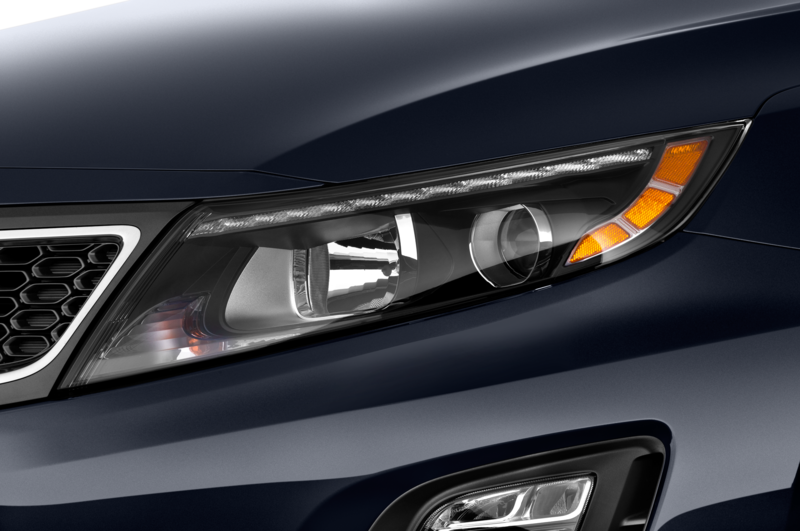 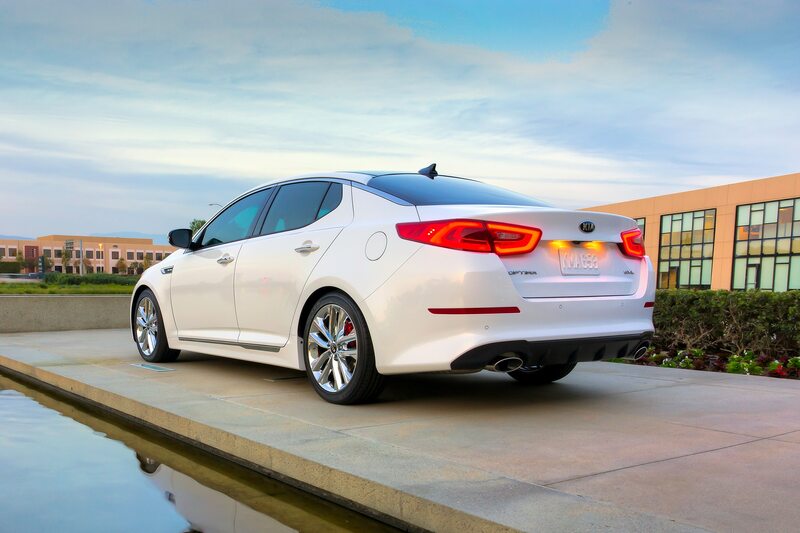 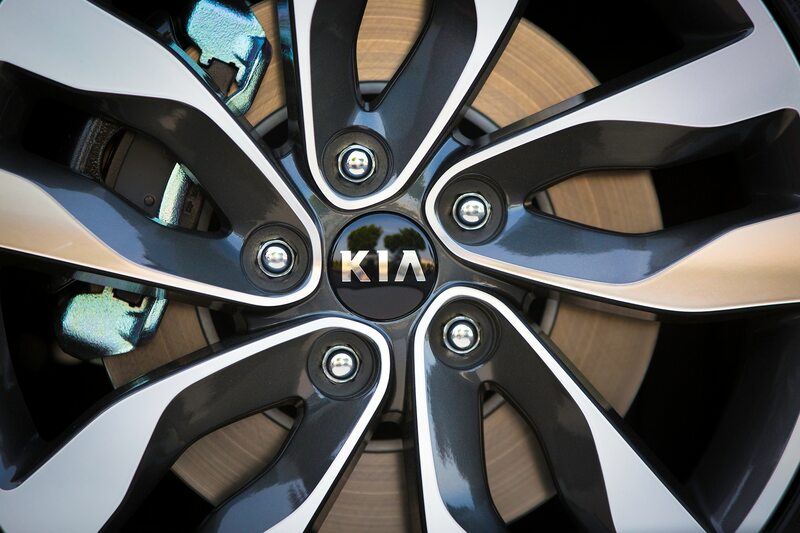 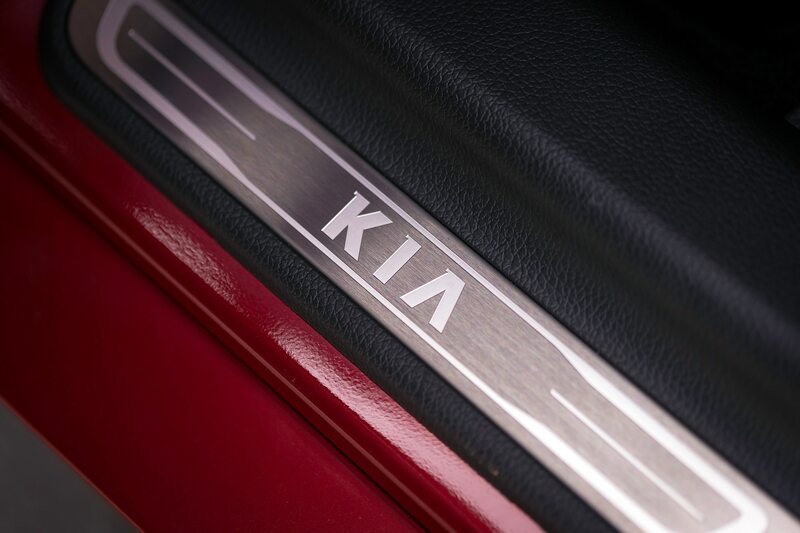 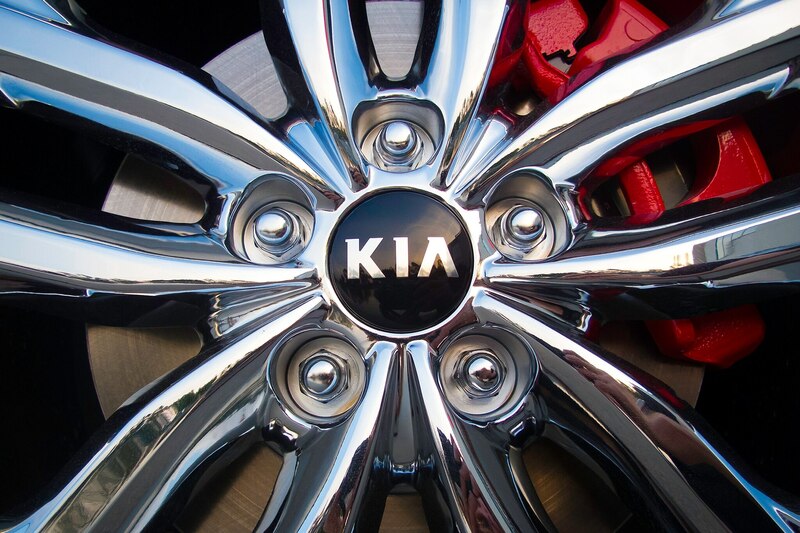 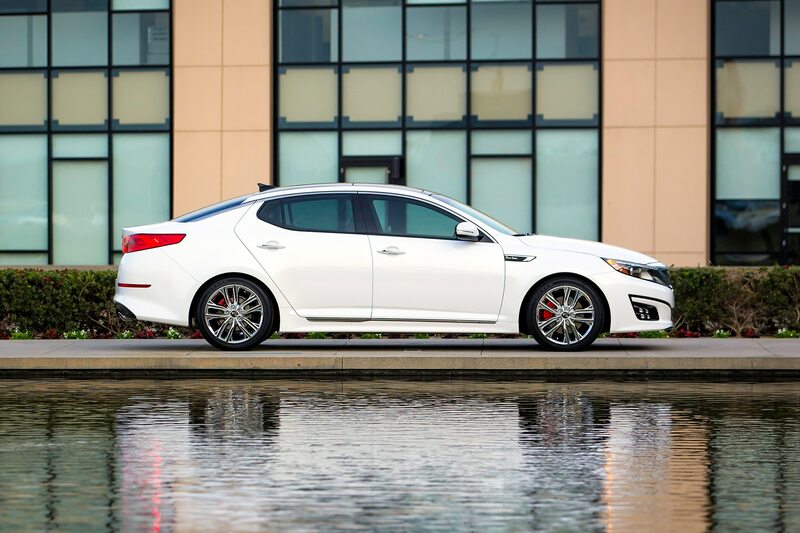 The key changes are all visual, but you’d need to be a Kia Optima aficionado to spot them. 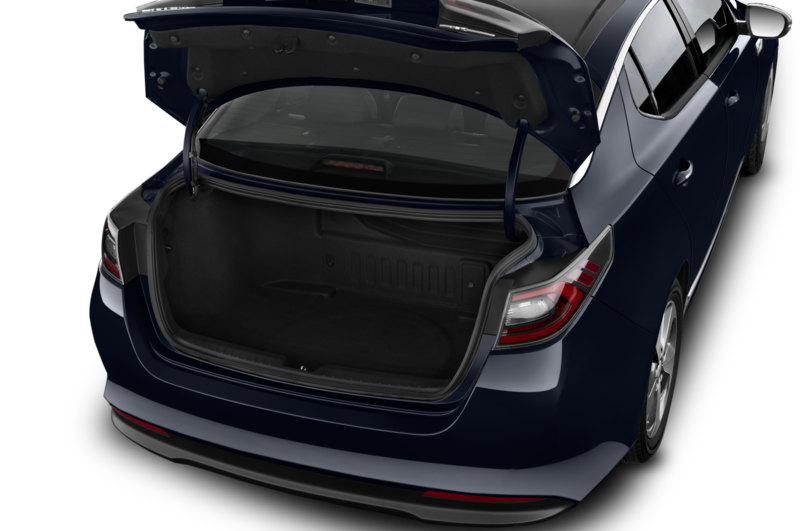 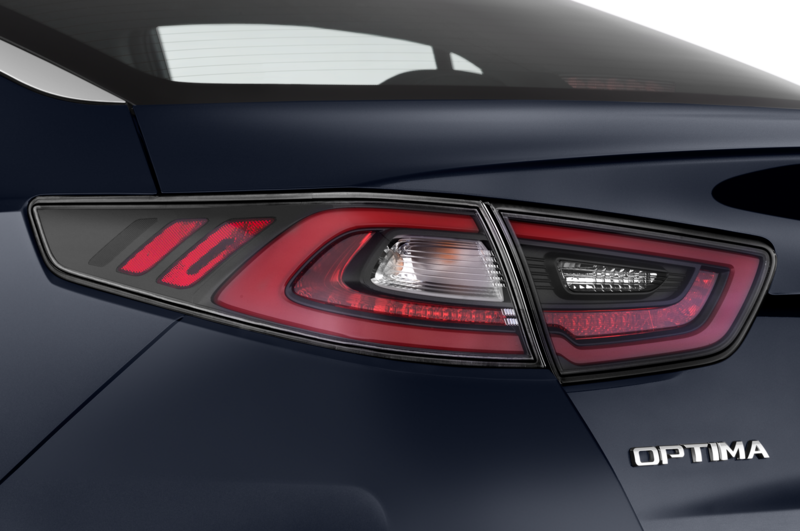 The plastic front and rear fascias are new, as are the fender badges, the rear diffuser panel, the LED running lights and taillights, and the seats. 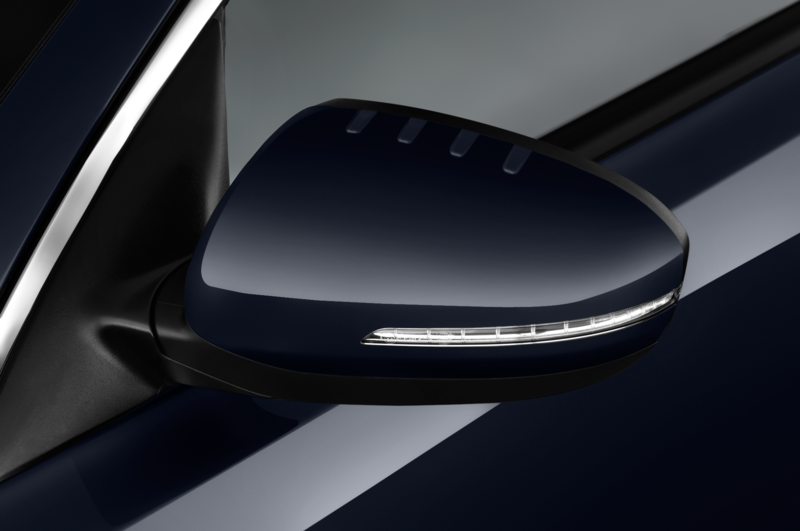 A newly optional blind-spot monitoring system worked flawlessly during our test, illuminating an orange warning in the side-view mirrors. 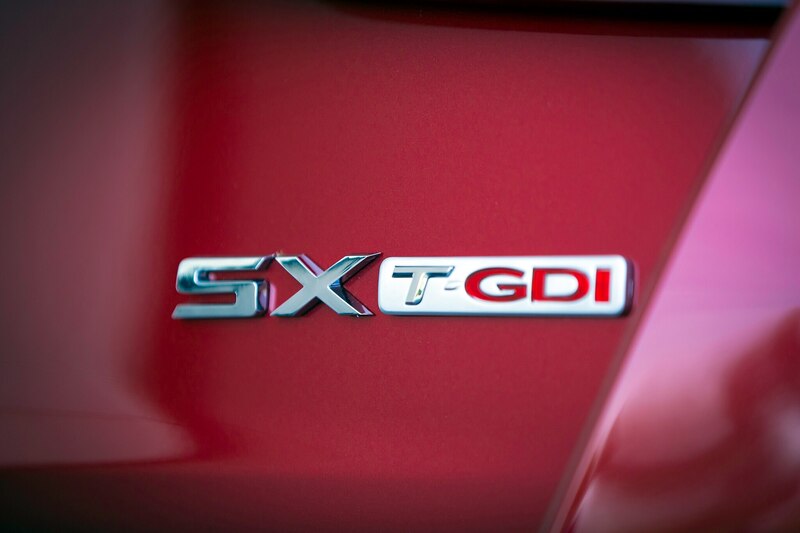 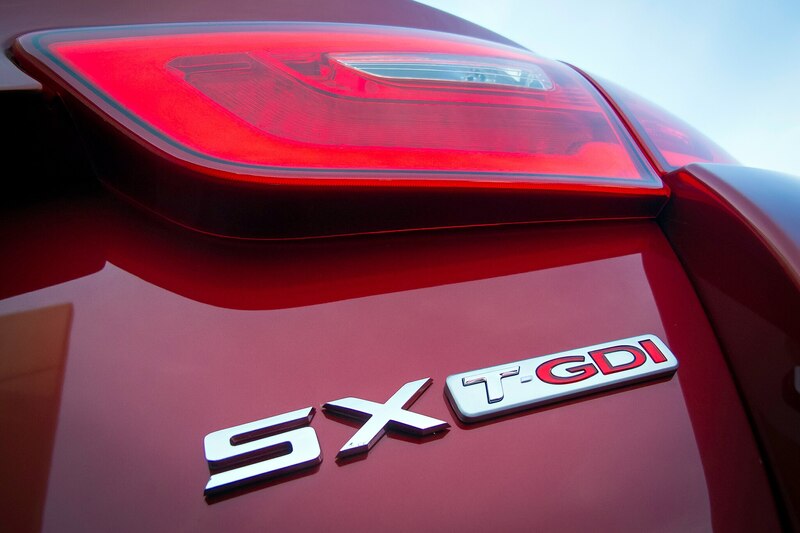 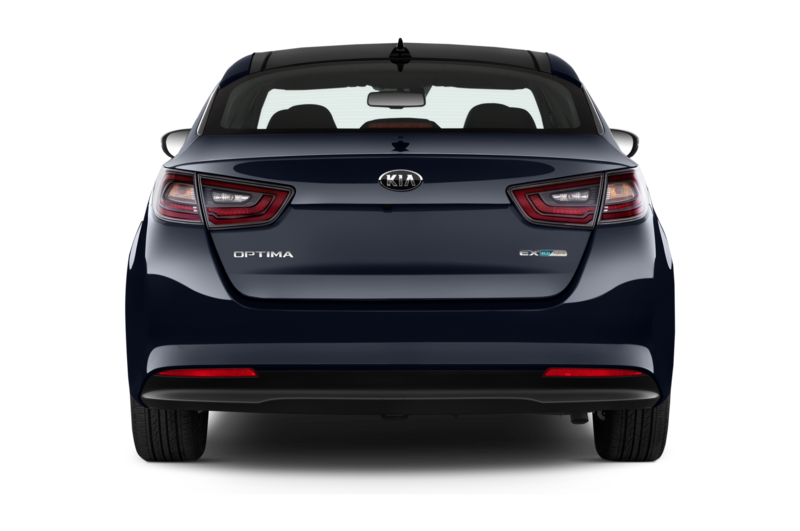 Another change for the SX trim level is that there’s now an Optima SX available with the base 192-hp, 2.4-liter engine, whereas before all Optima SXs had a turbocharged engine. 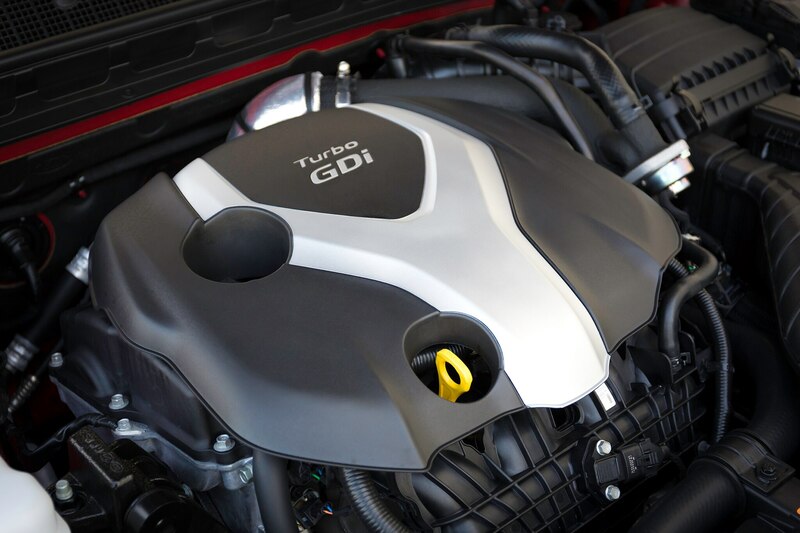 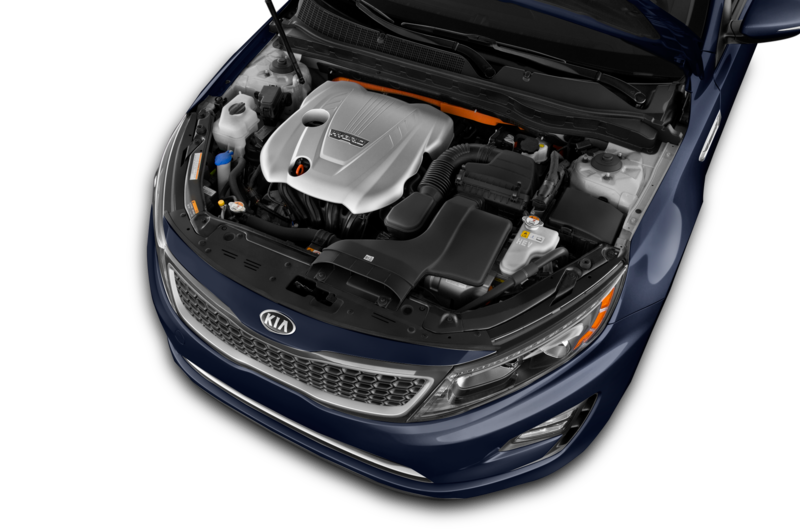 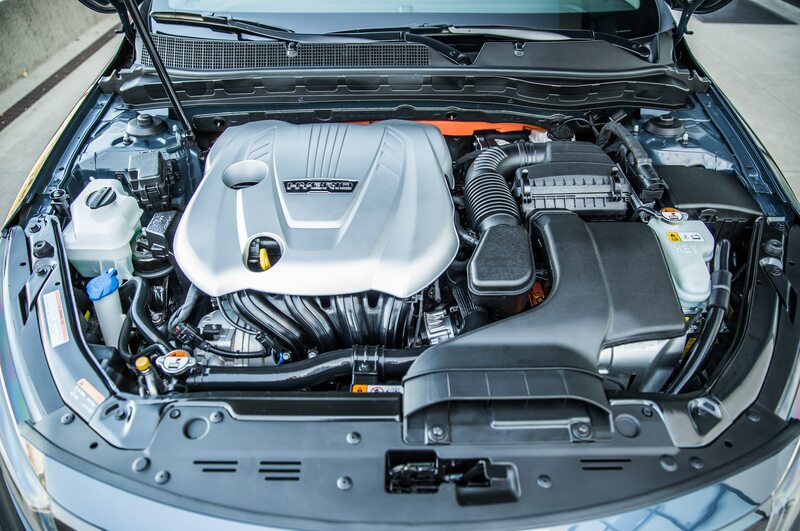 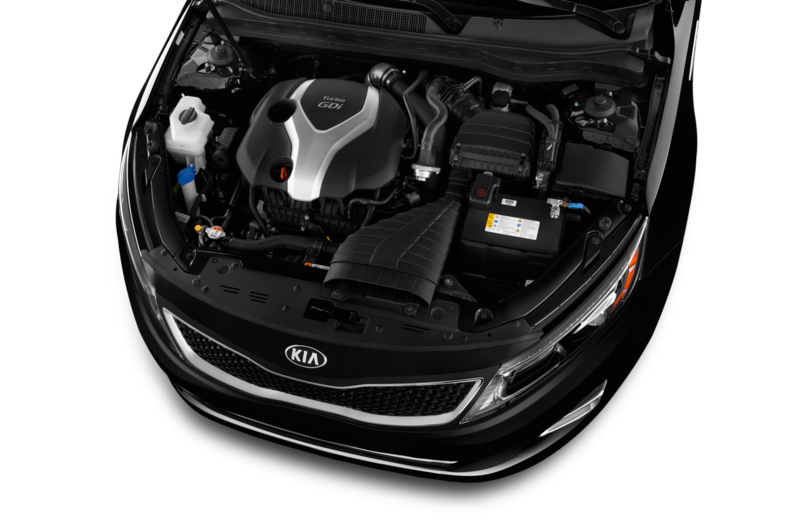 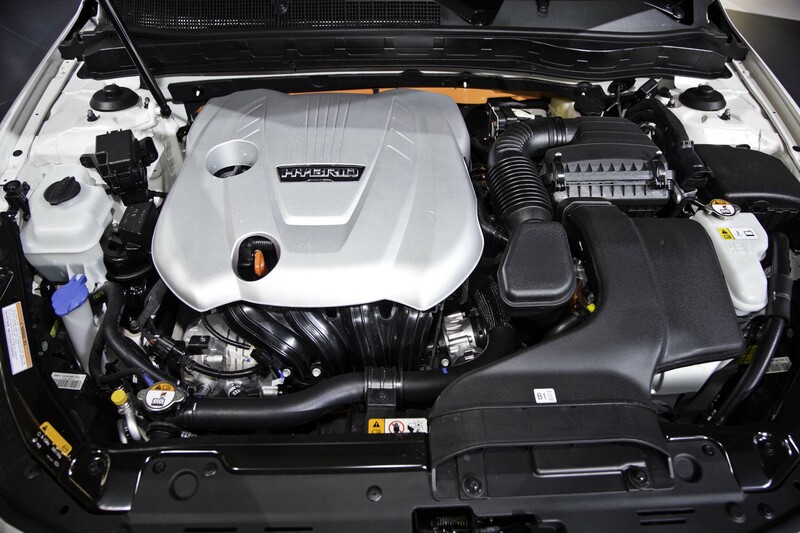 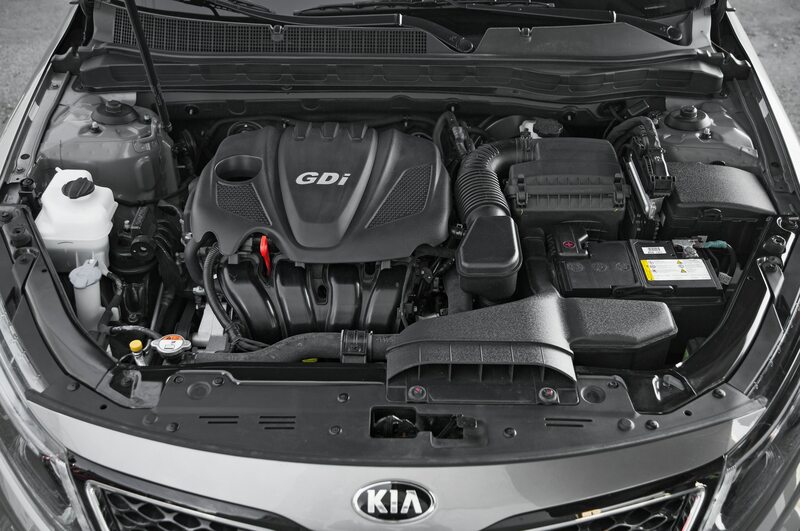 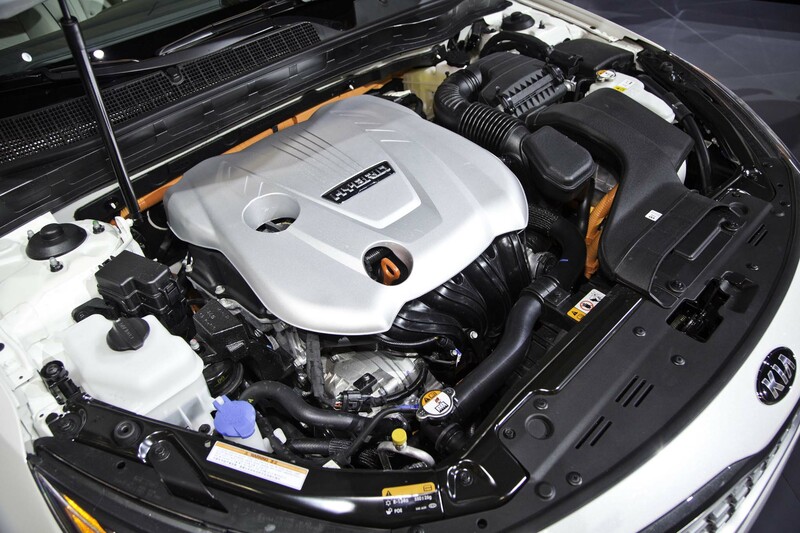 That 2.0-liter turbo-four engine, available on the SX Turbo and SX Limited models, remains the highlight of the Optima lineup. 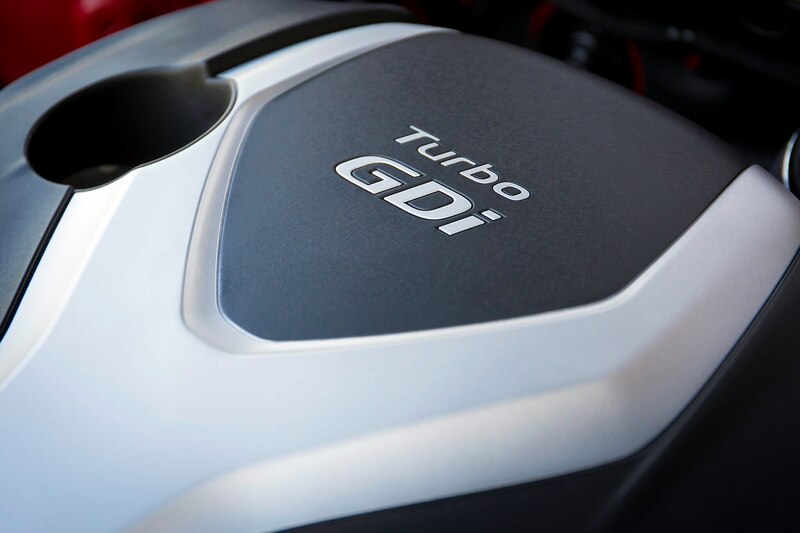 With 269 lb-ft of torque available from 1650 rpm, the engine pulls steadfastly from any speed toward its 274-hp power peak. 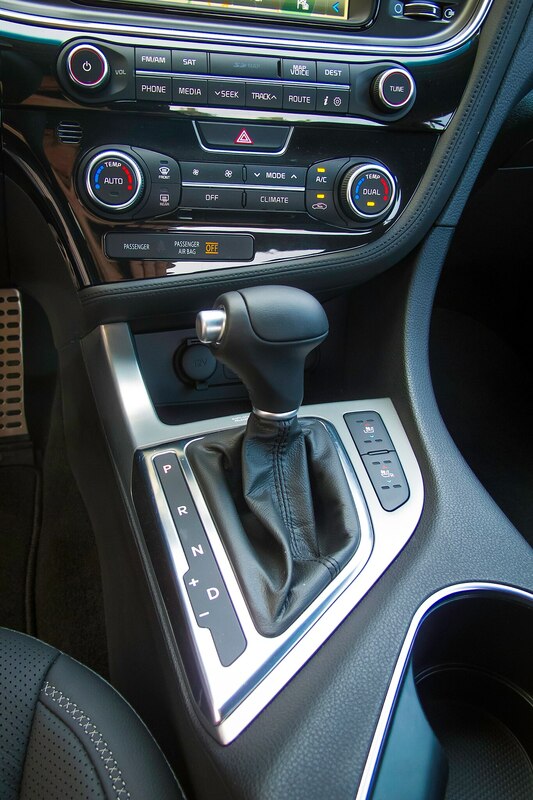 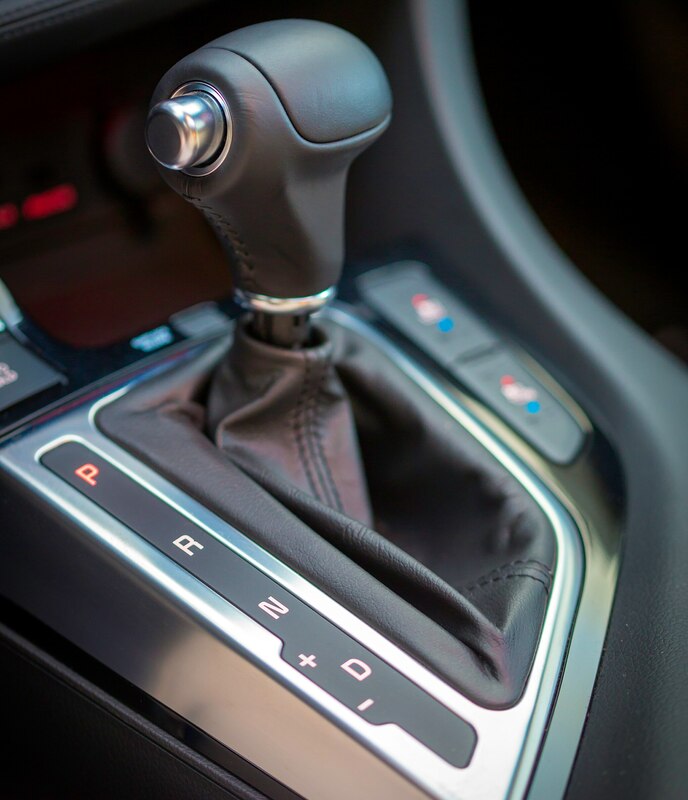 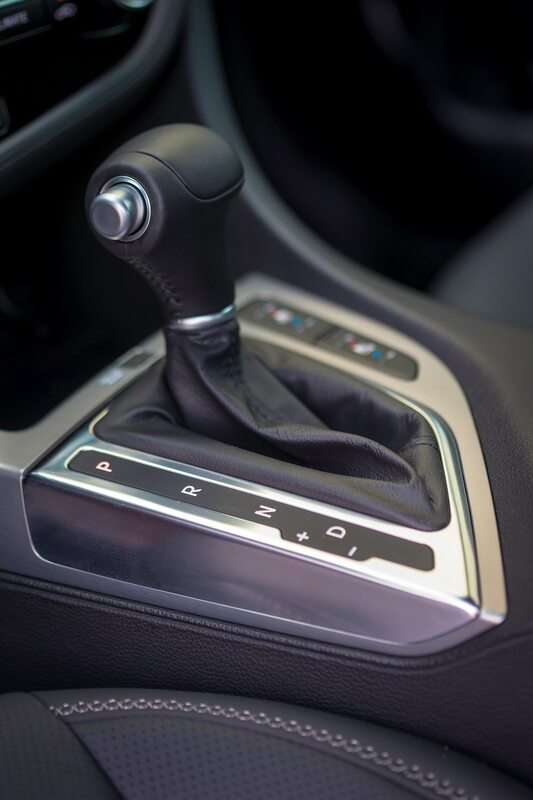 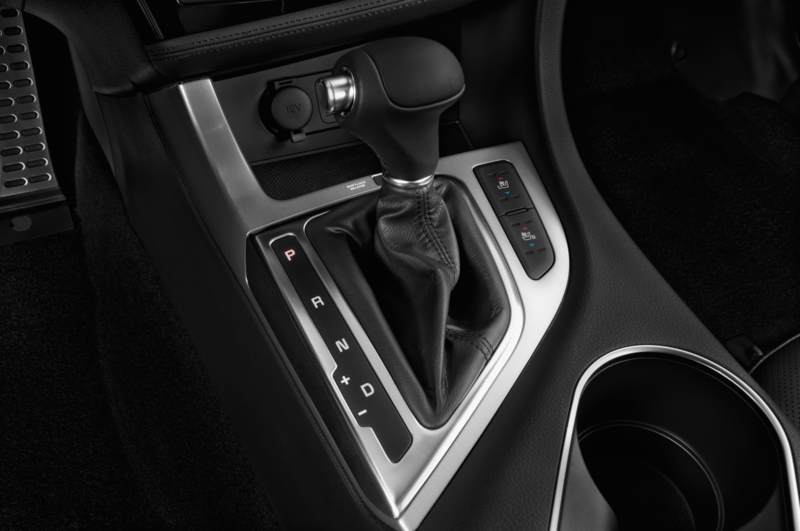 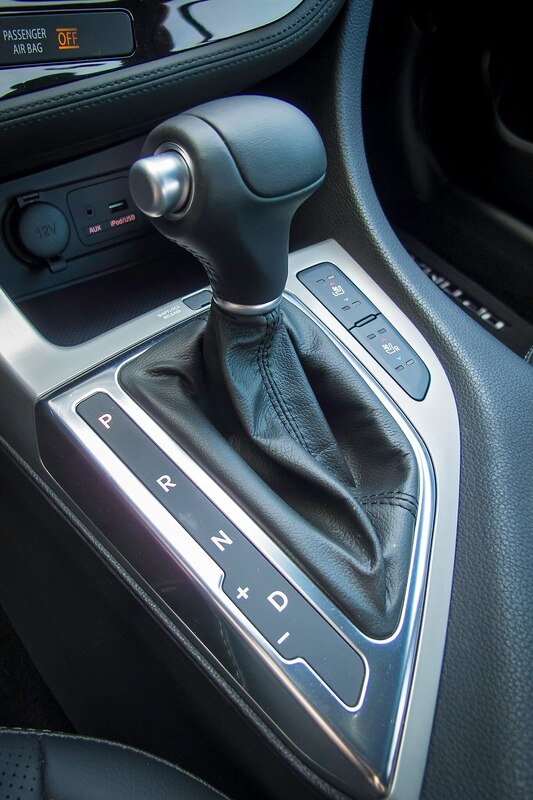 The automatic transmission promptly shuffles between the six forward ratios and responds gamely to inputs from the wheel-mounted paddle shifters. 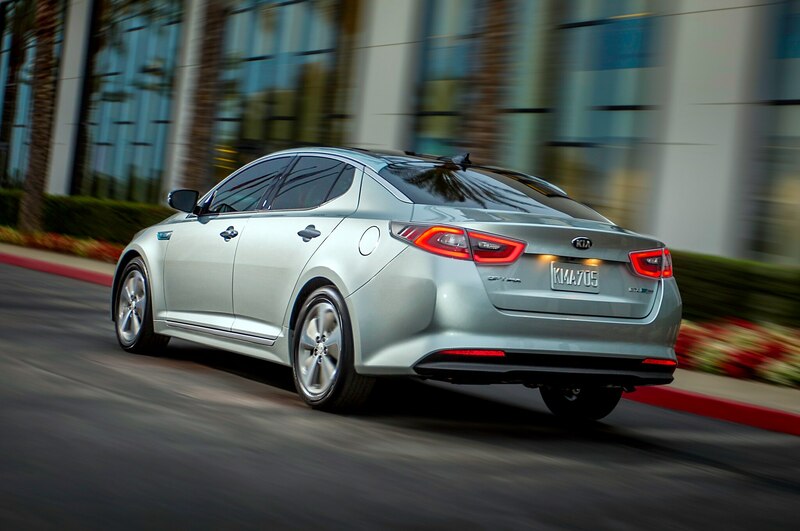 Put your foot down, and this midsize sedan flies. 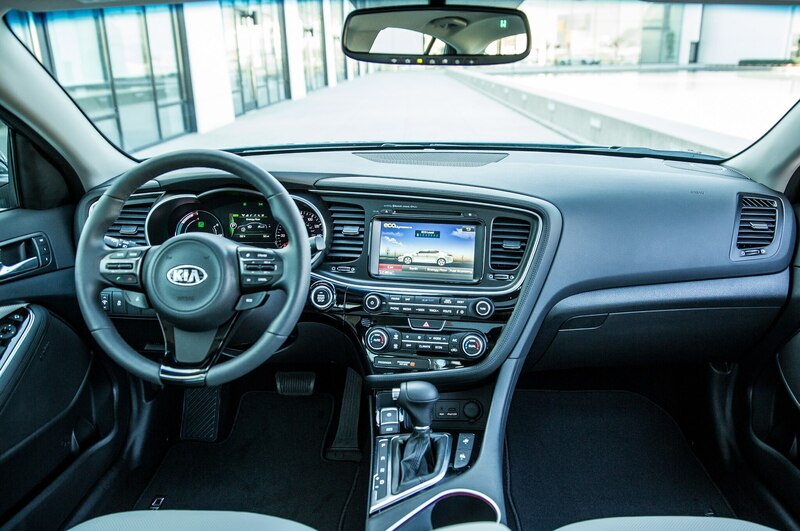 It’s in corners where we’re less impressed, even though the 2014 Kia Optima SX gains a Drive Mode Select function meant to sharpen its reflexes. 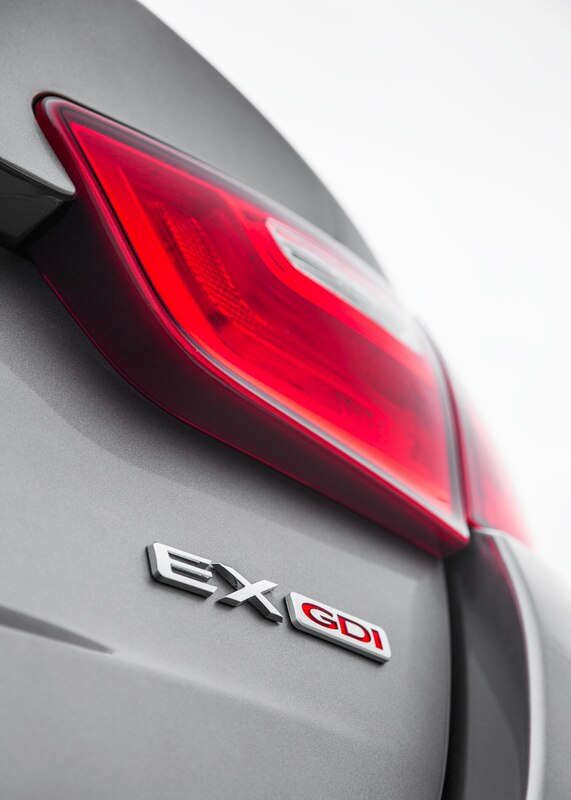 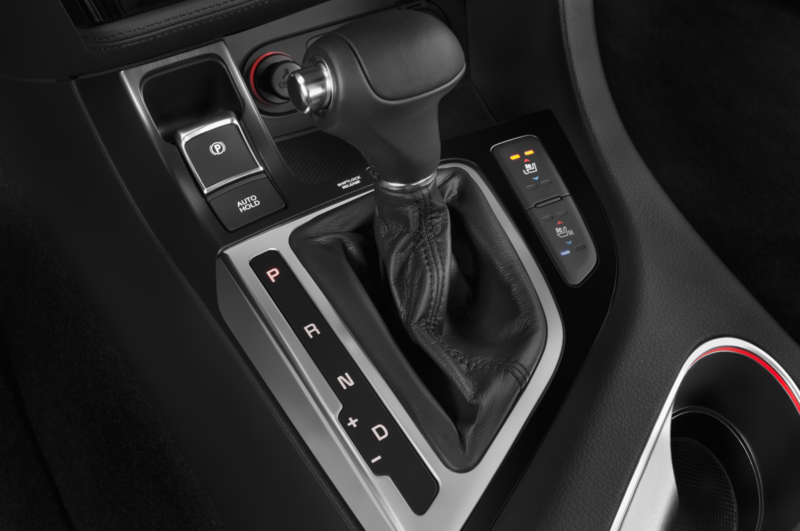 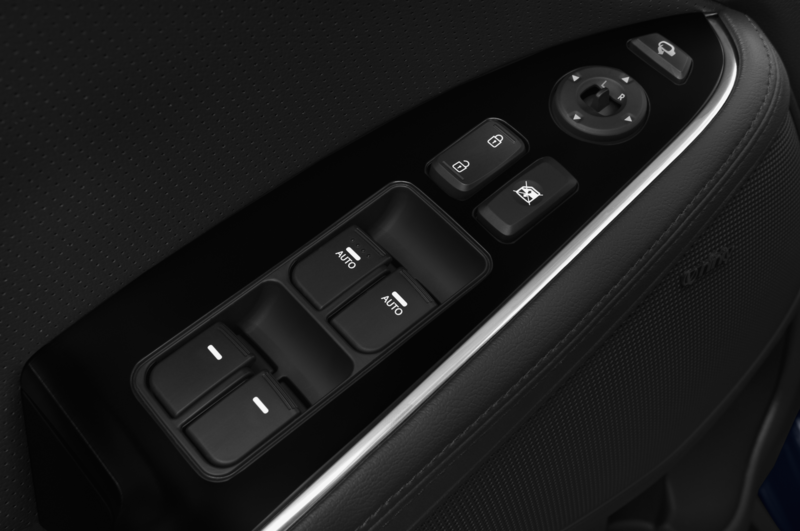 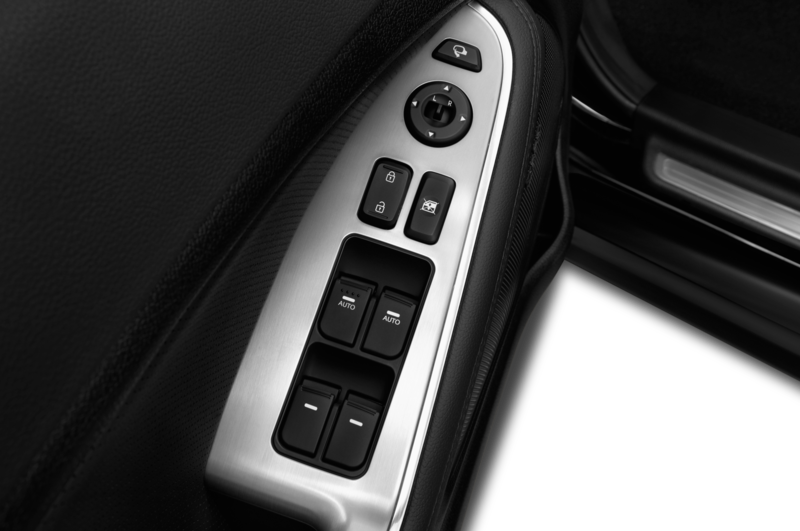 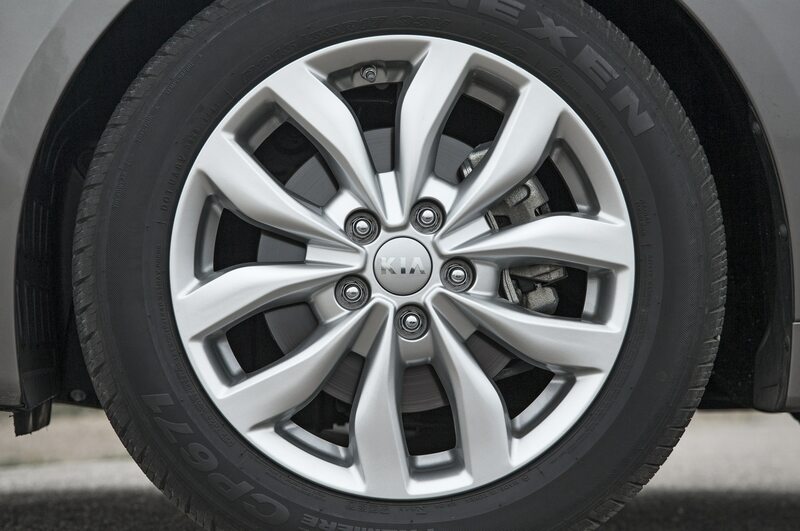 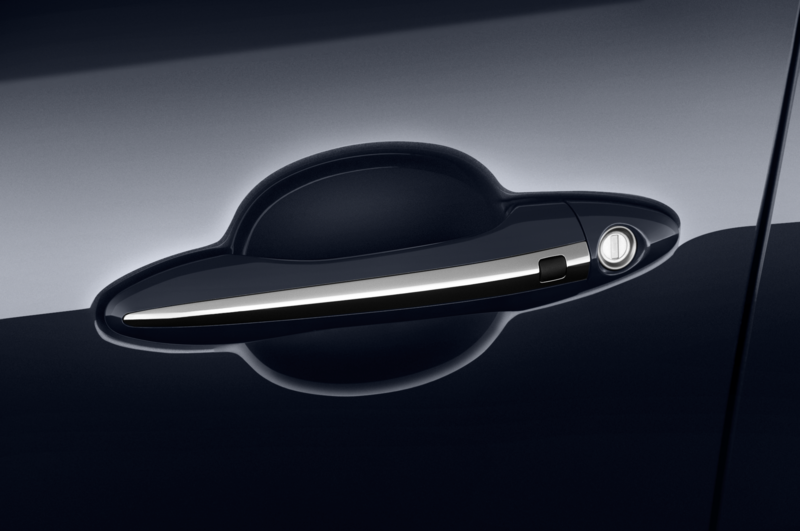 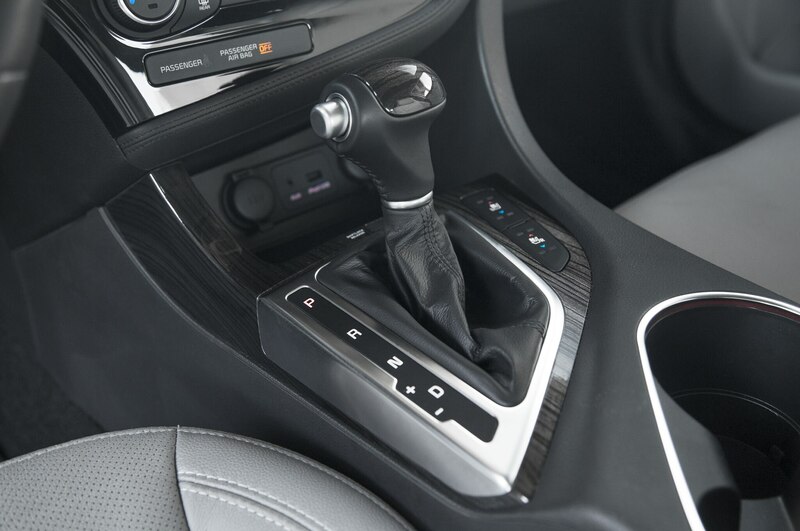 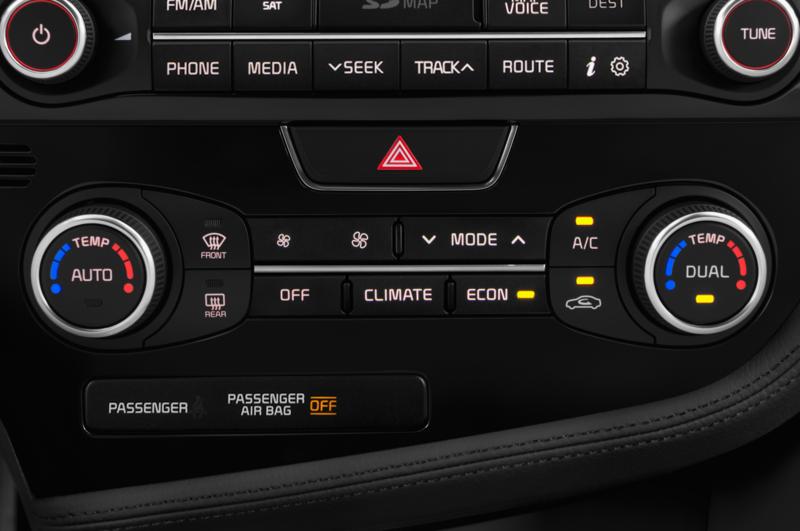 The button switches between Comfort, Normal, and Sport modes for the transmission and electric power steering. 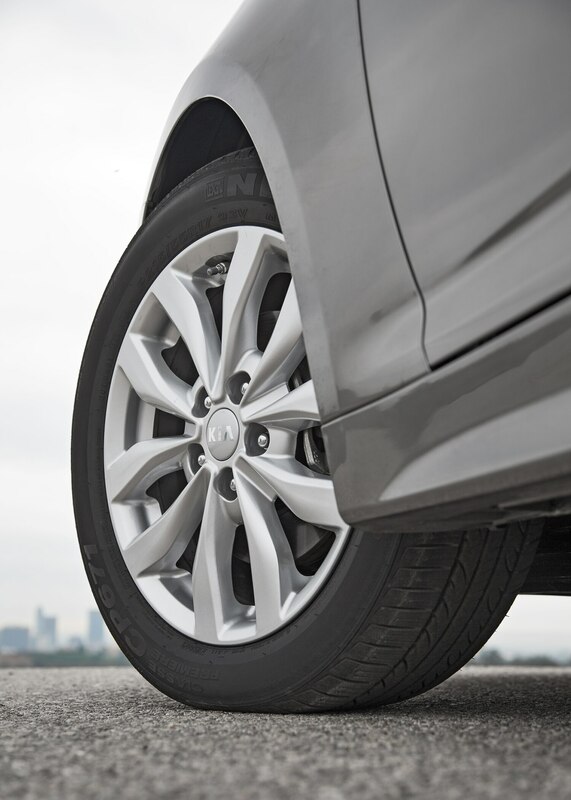 We found it best to leave DMS in Normal, as the steering becomes cumbersome in Sport and lifeless in Comfort. 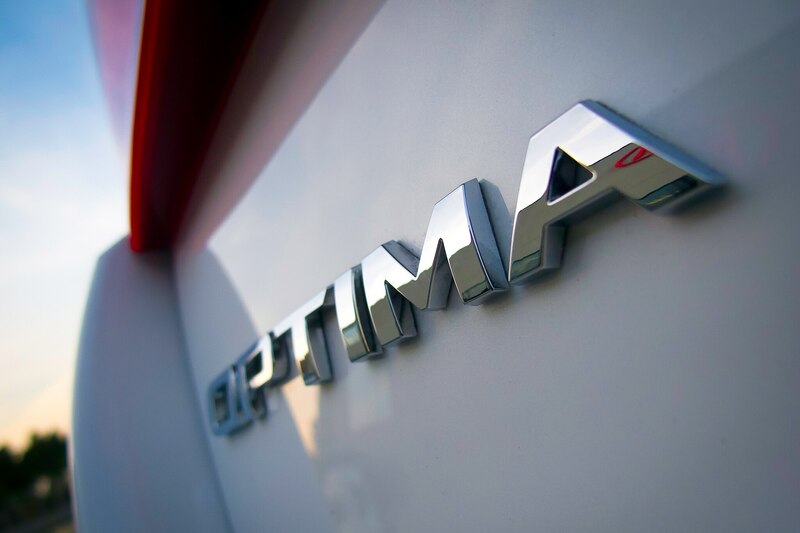 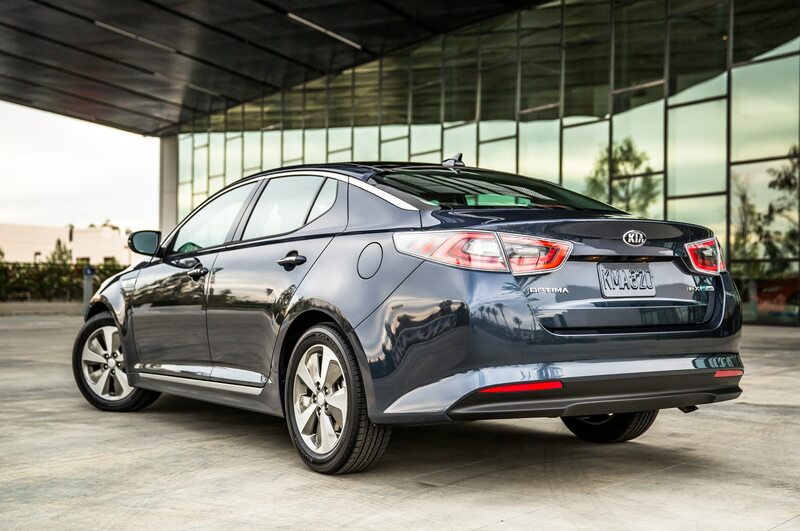 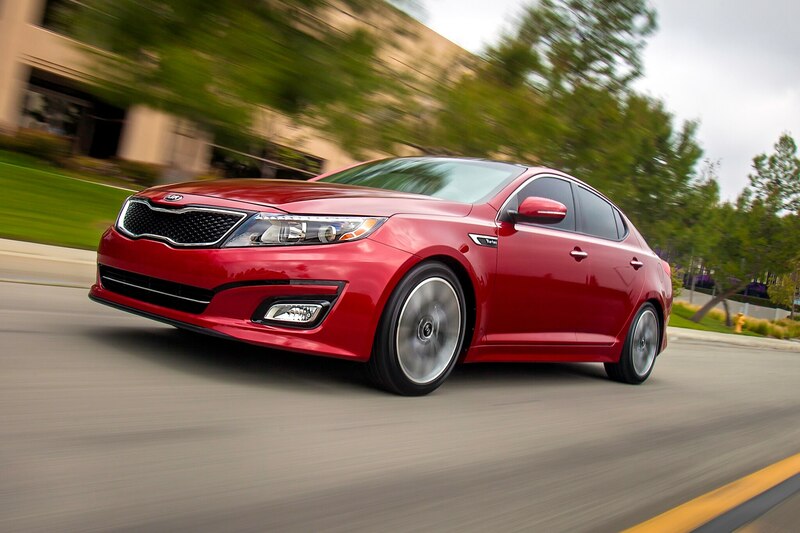 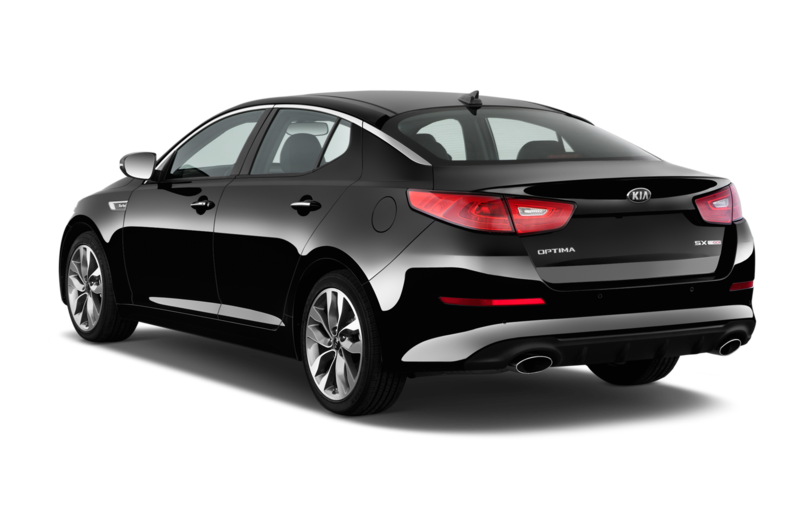 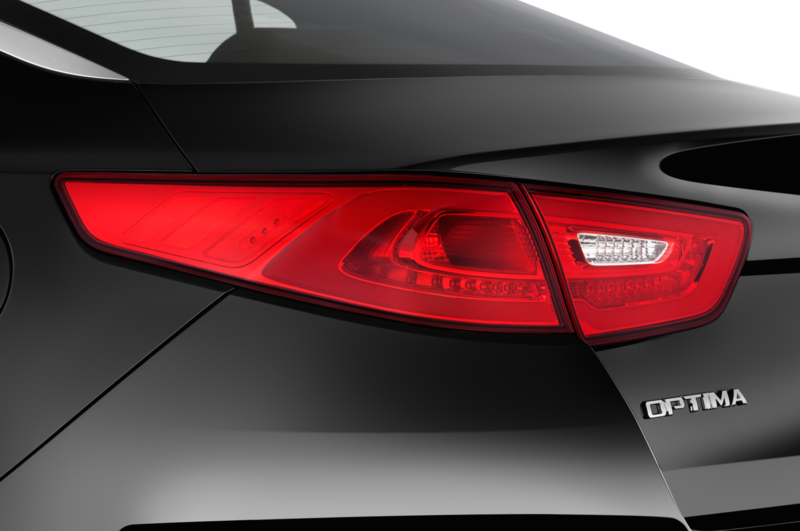 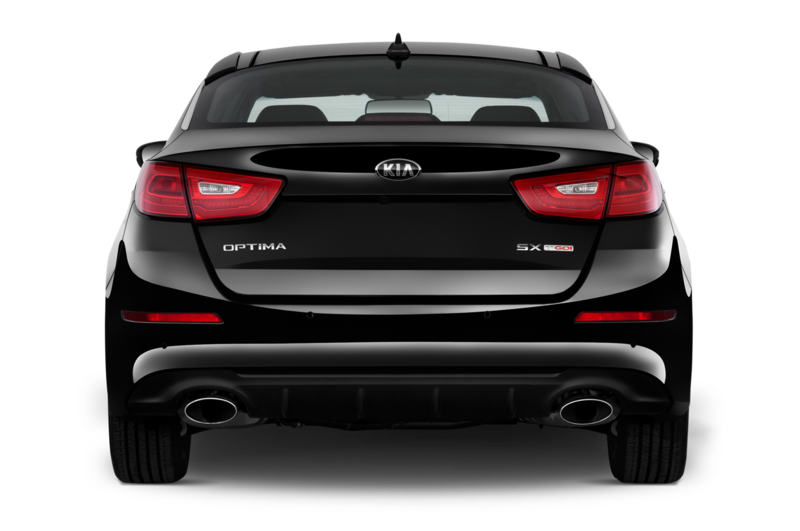 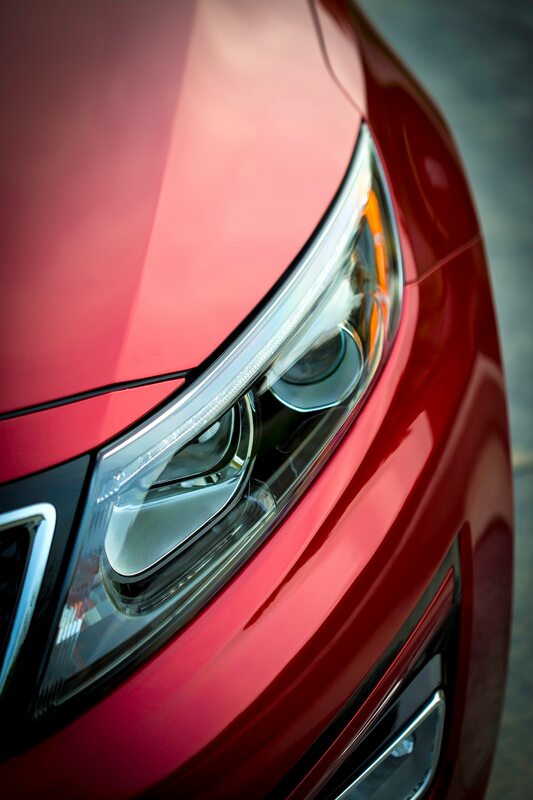 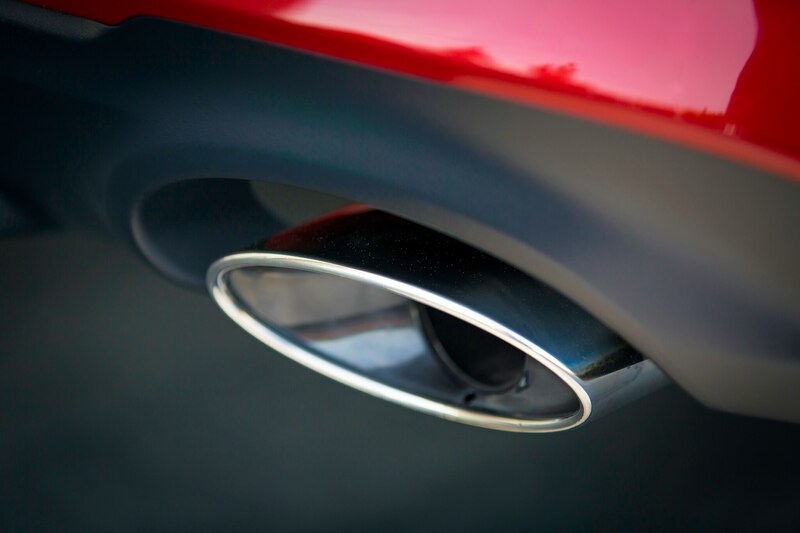 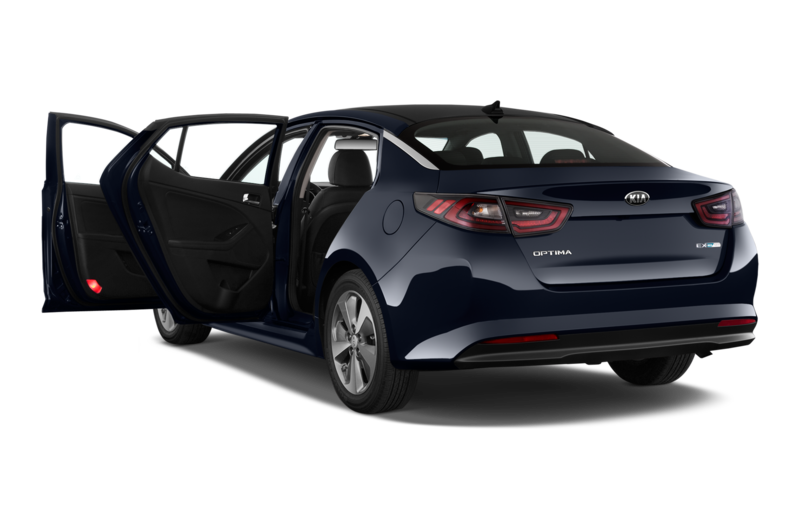 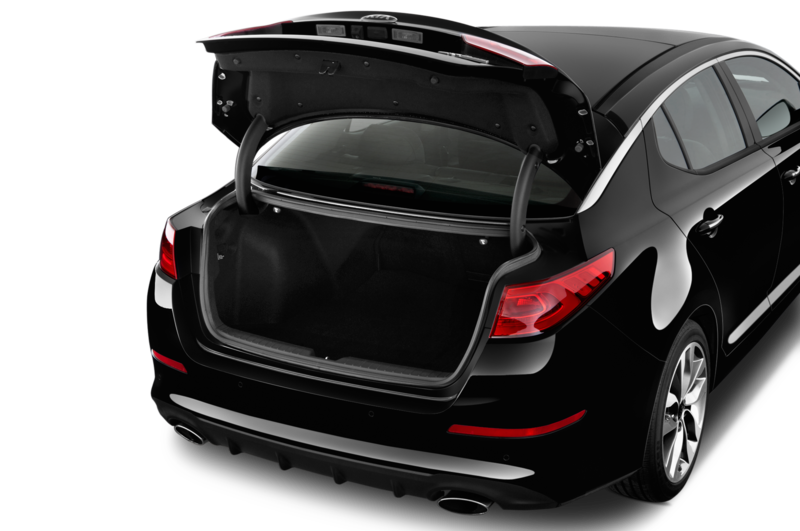 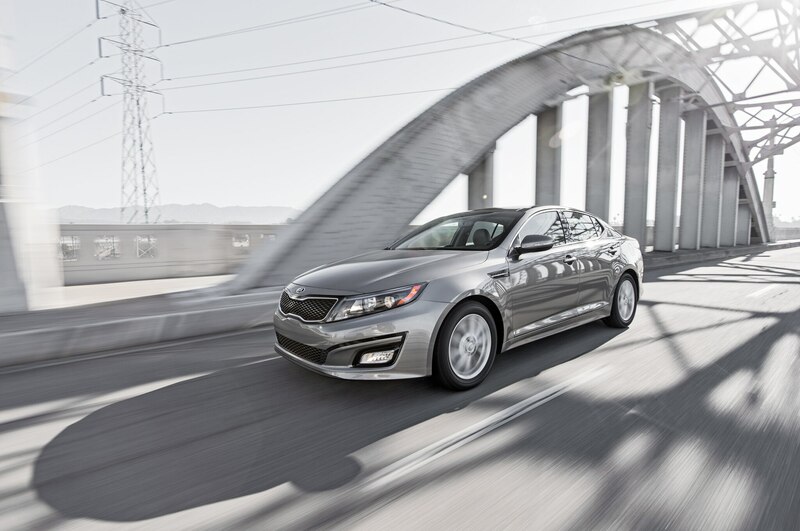 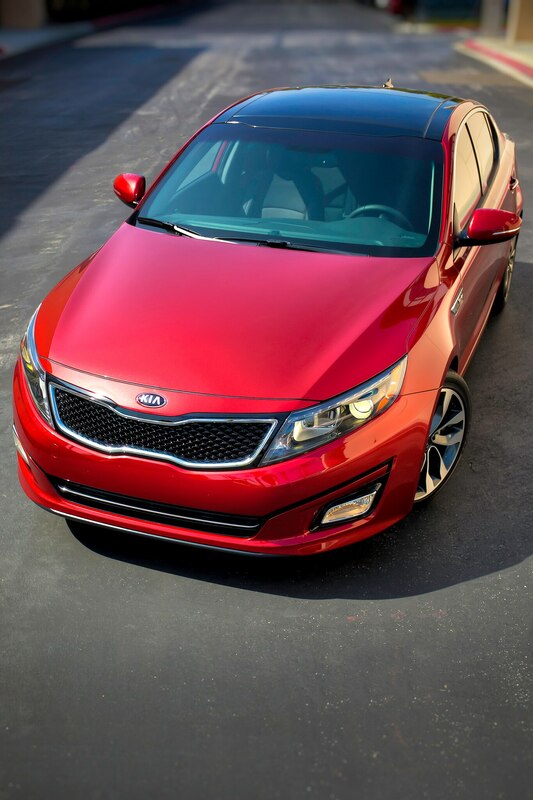 Even so, the Optima doesn’t tackle curves as well as do rivals like the Honda Accord, Mazda 6, and Ford Fusion. 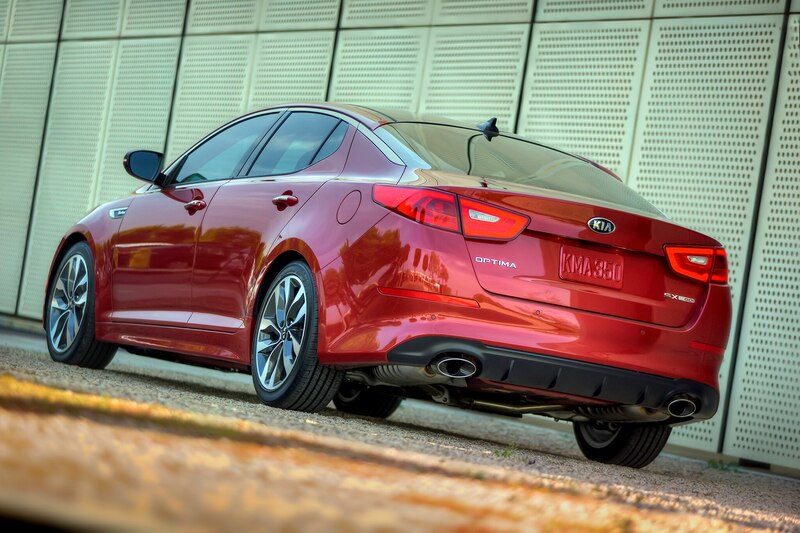 With less precision and feedback from the suspension than those sedans, the Kia doesn’t allow us to pick and hold lines as precisely on winding mountain roads. 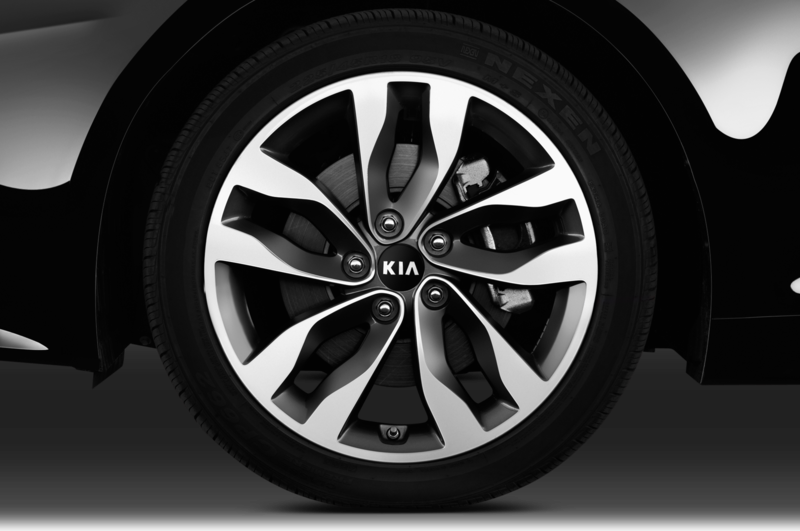 The upshot is a smooth ride that remains settled over rough roads. 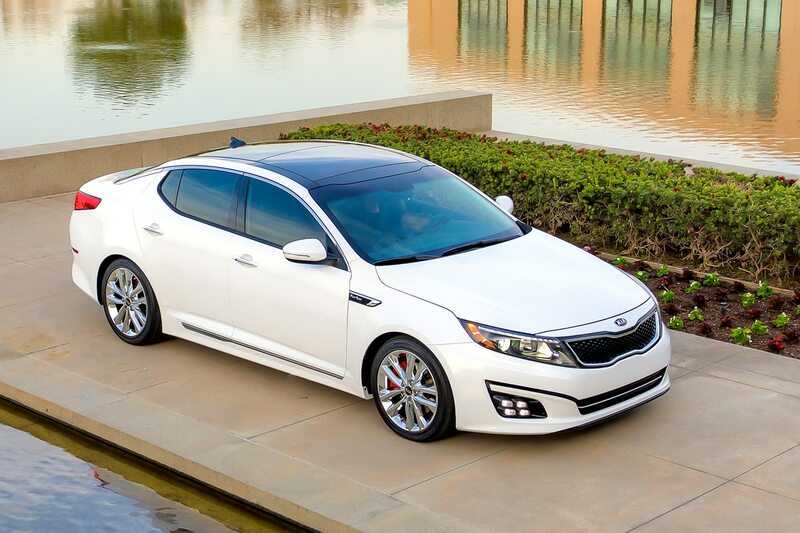 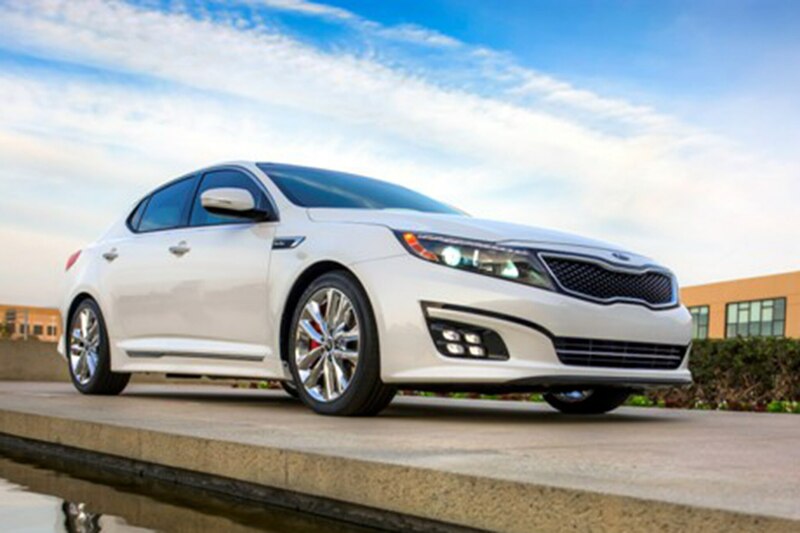 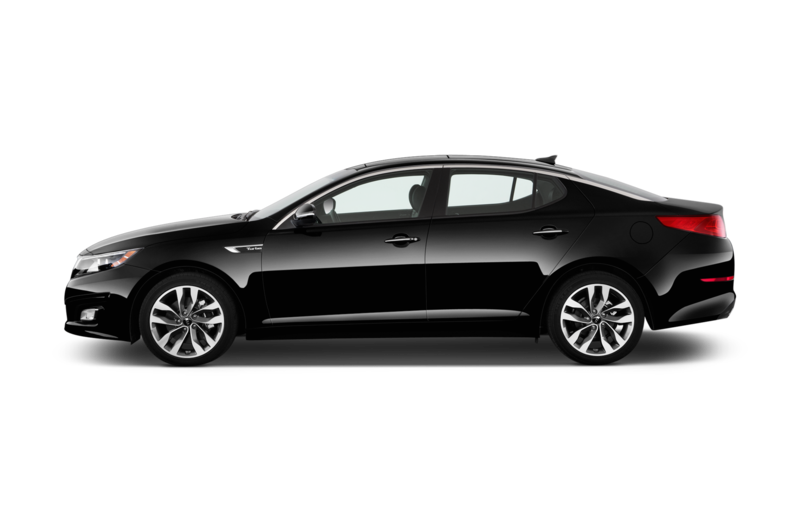 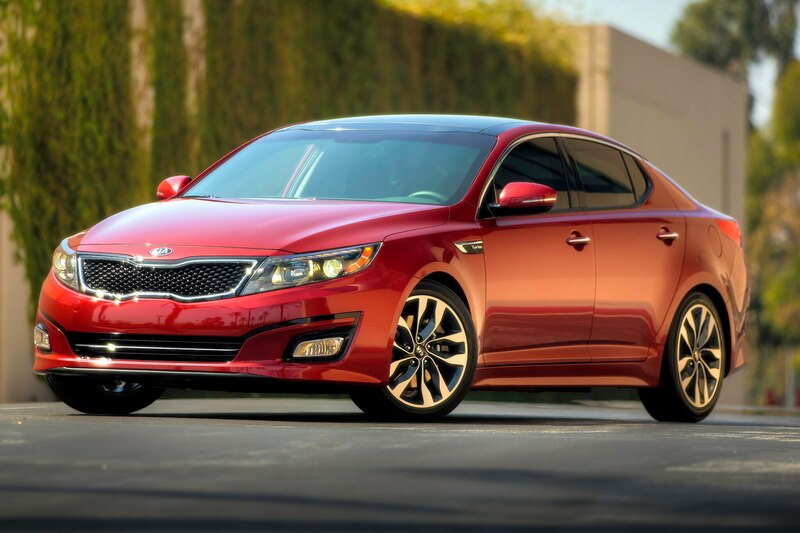 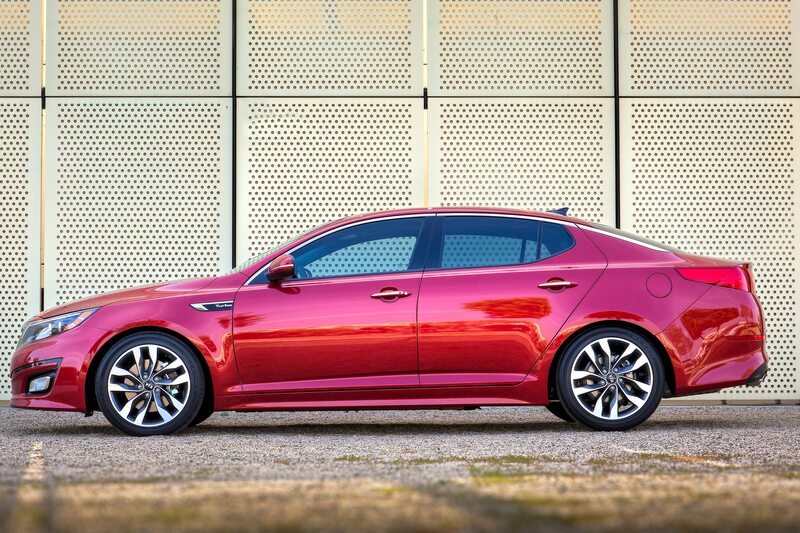 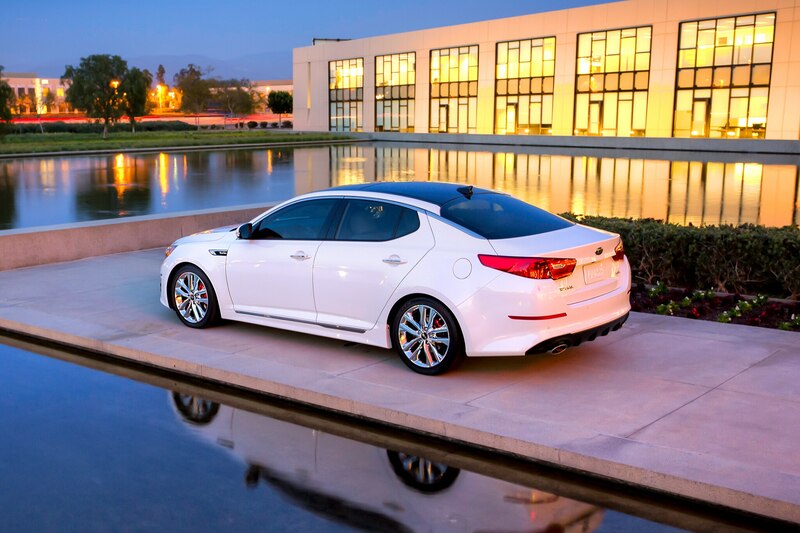 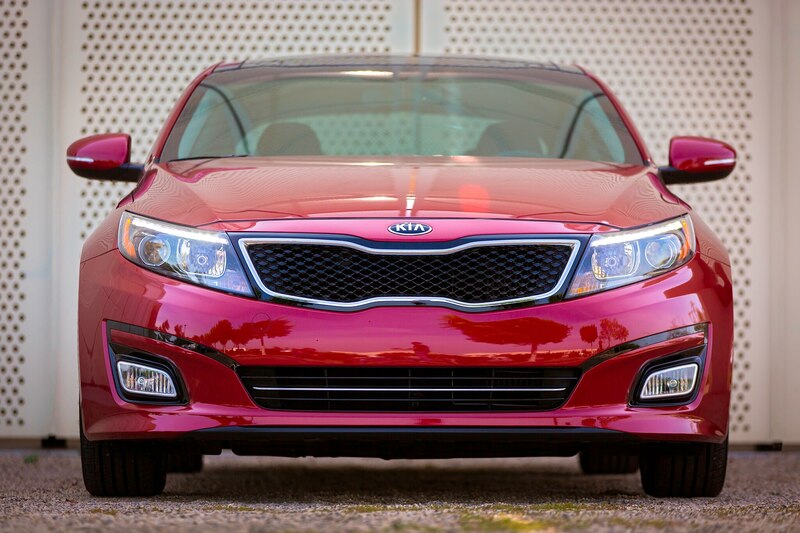 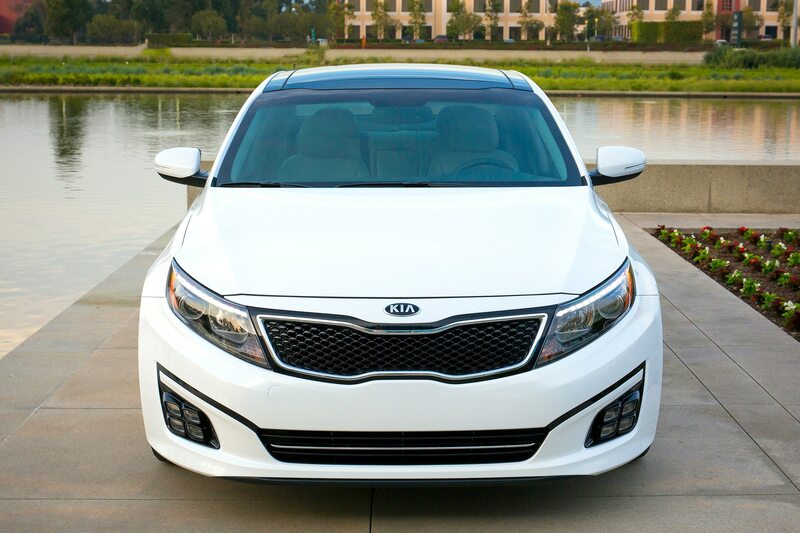 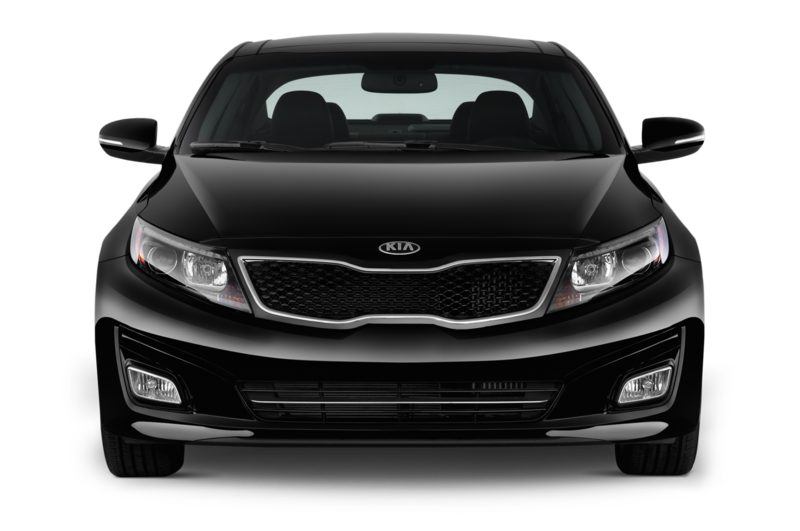 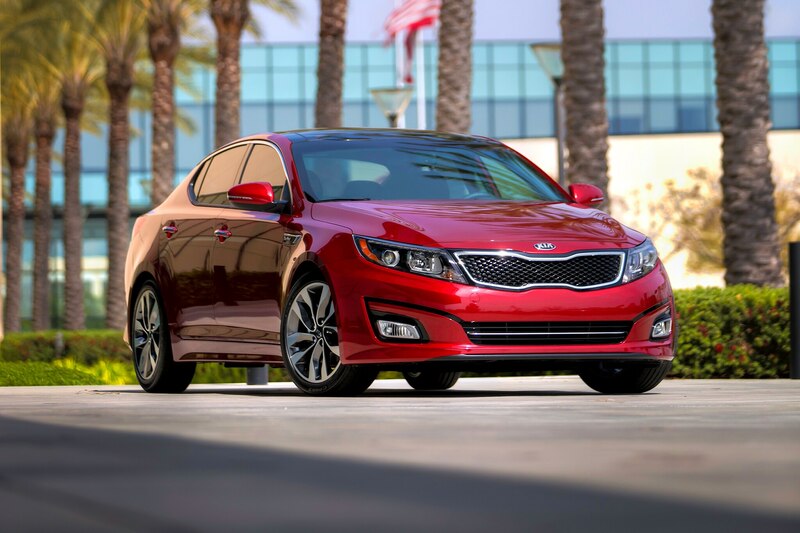 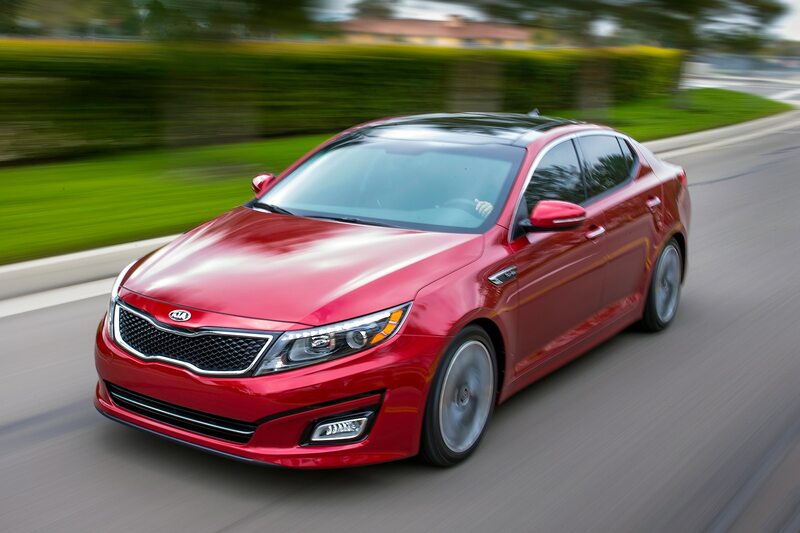 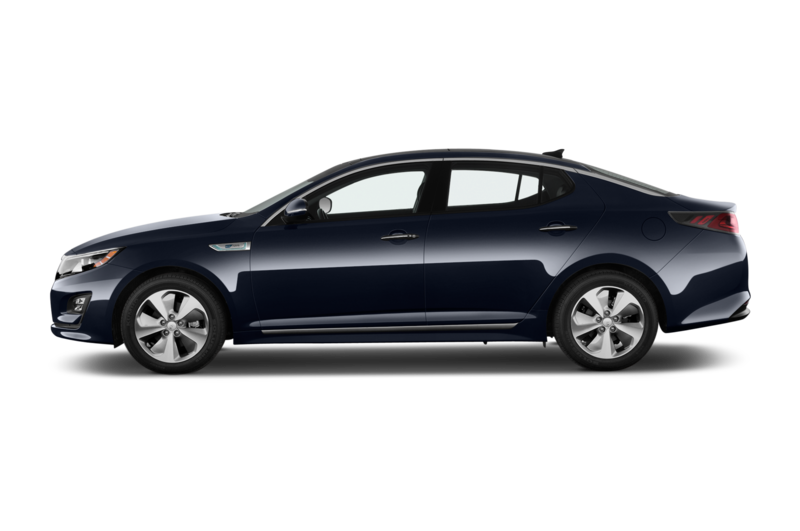 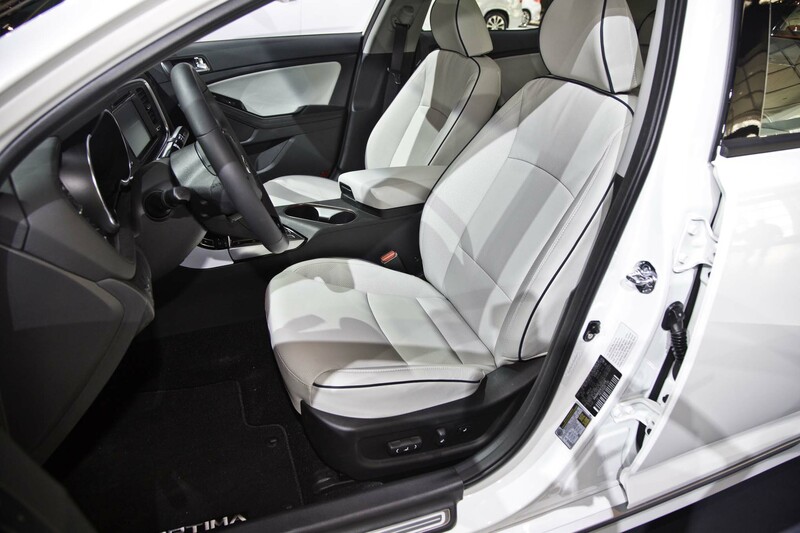 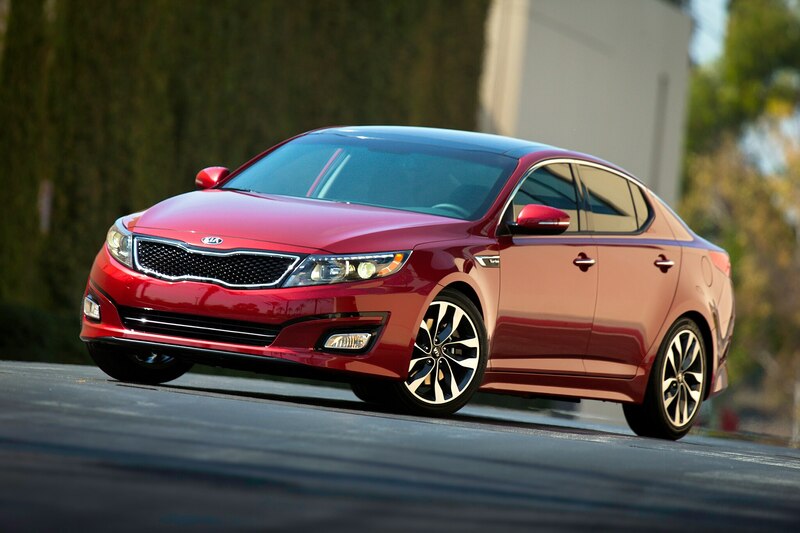 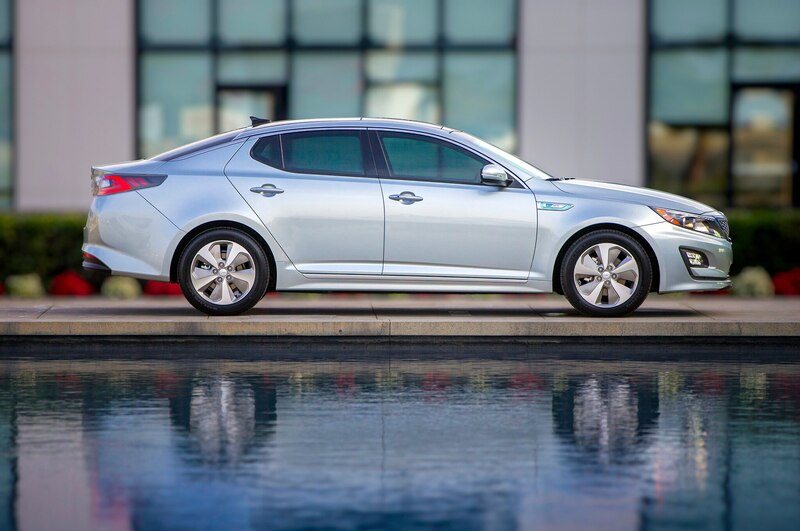 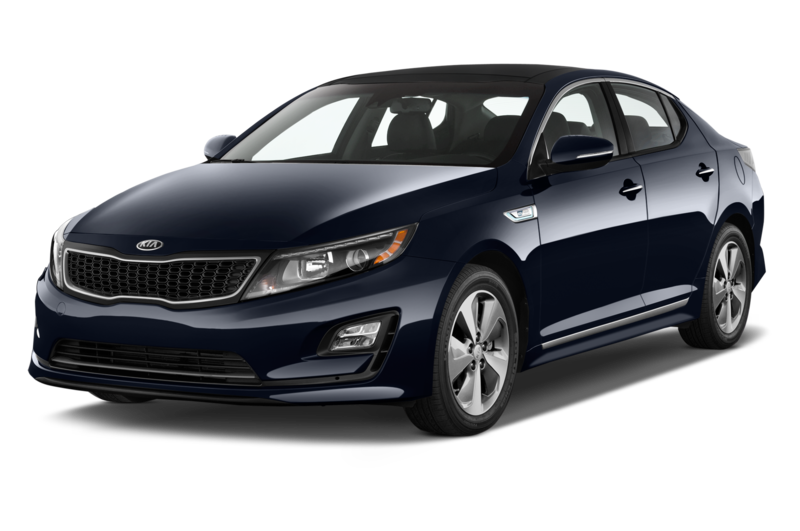 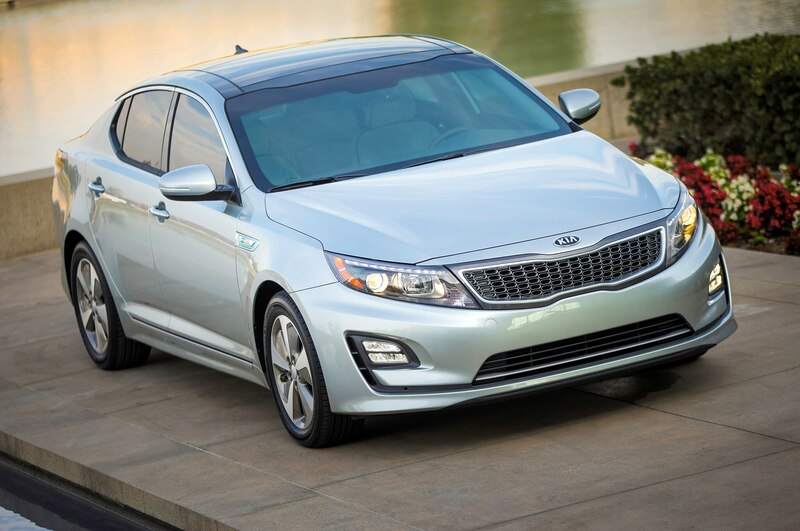 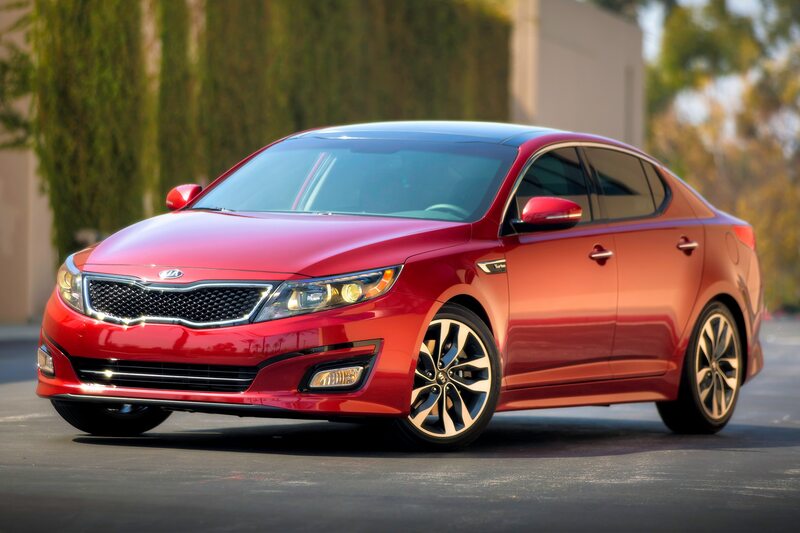 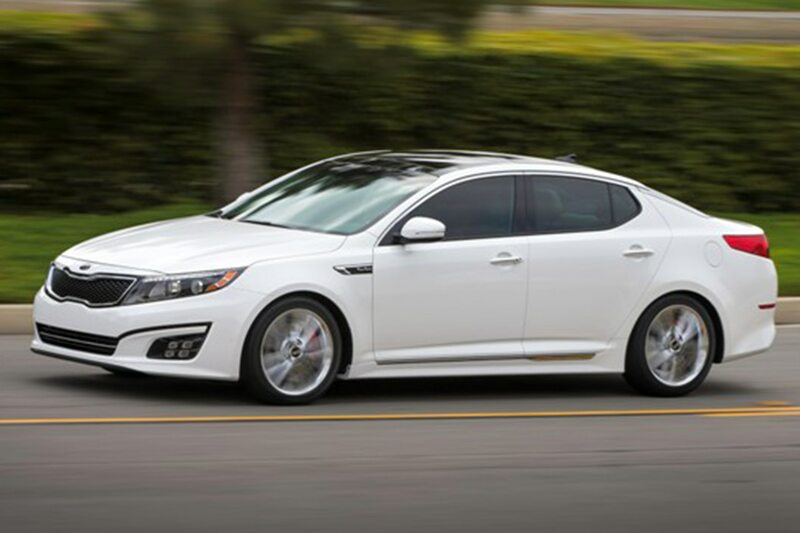 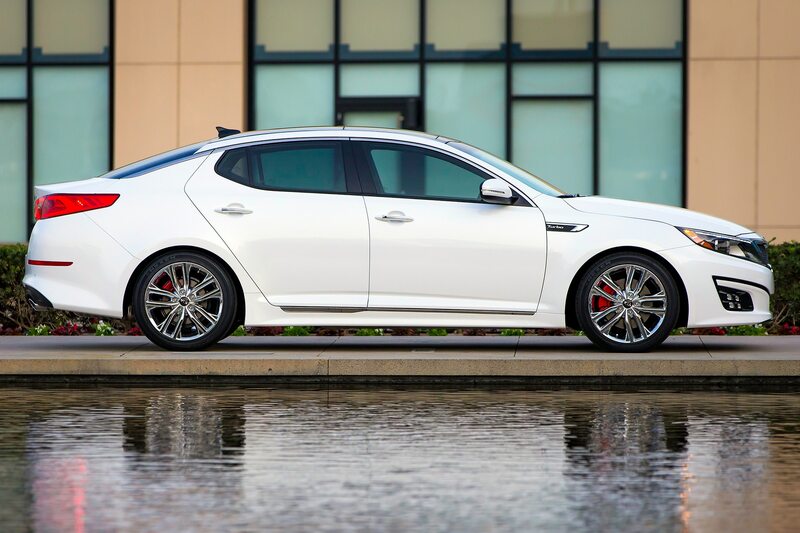 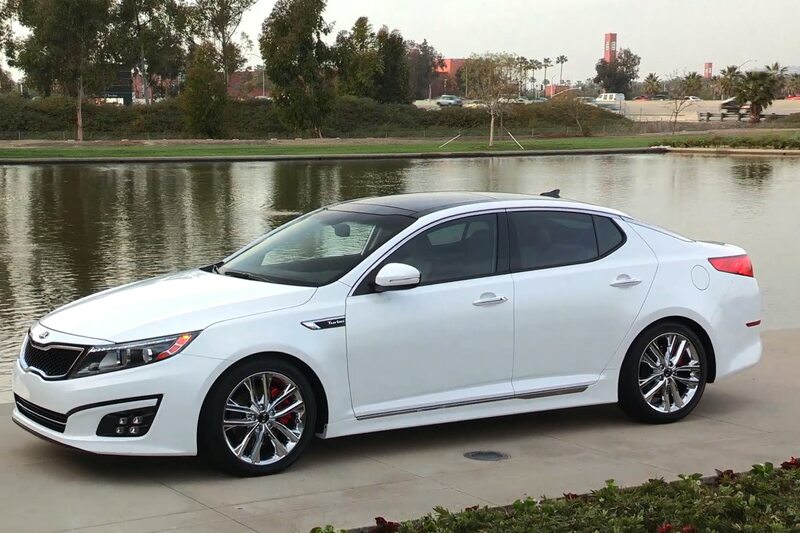 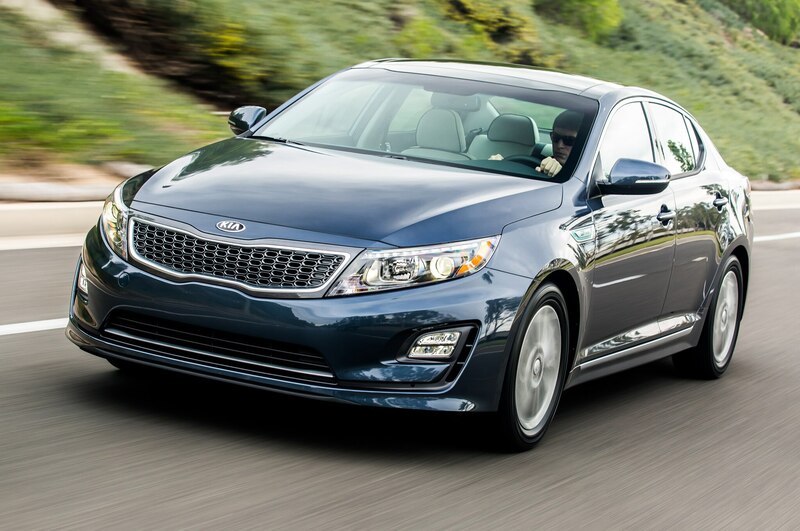 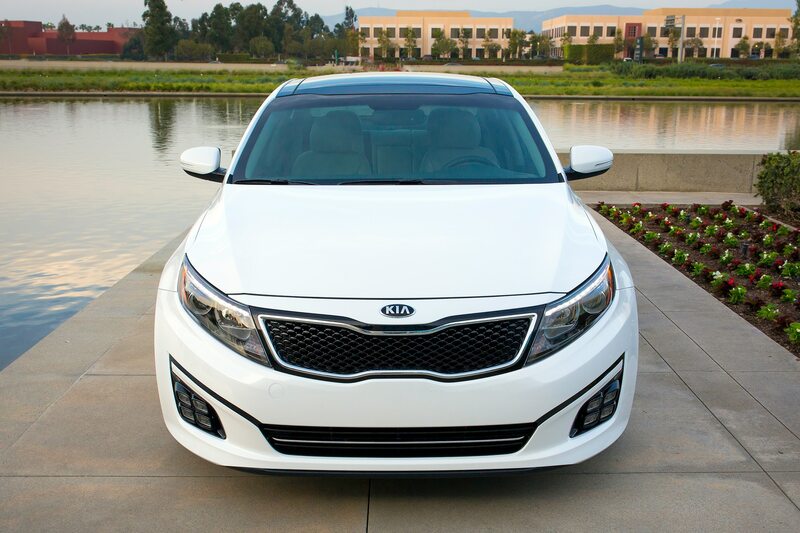 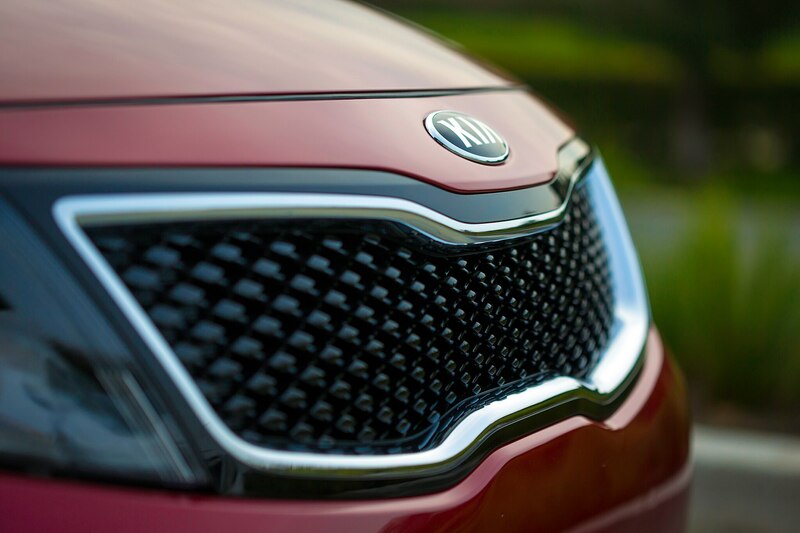 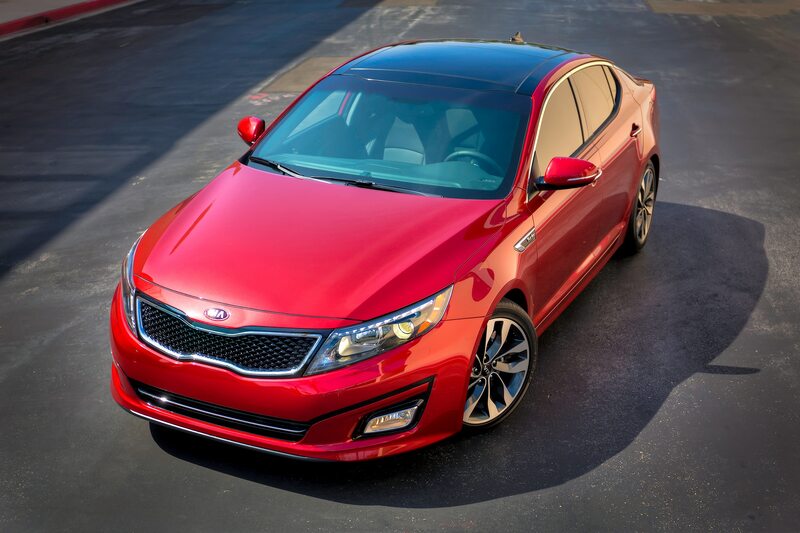 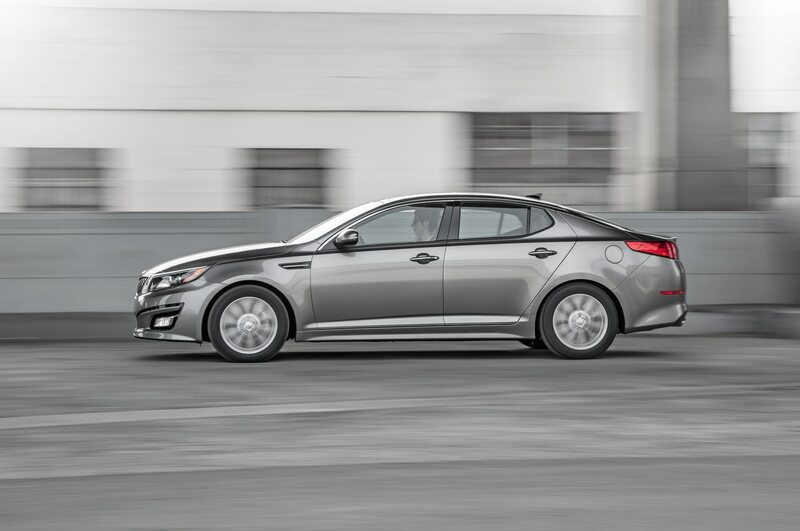 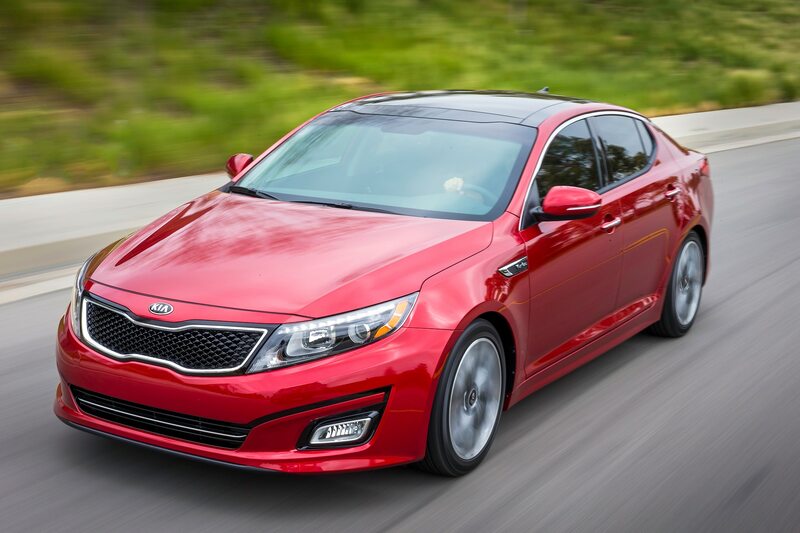 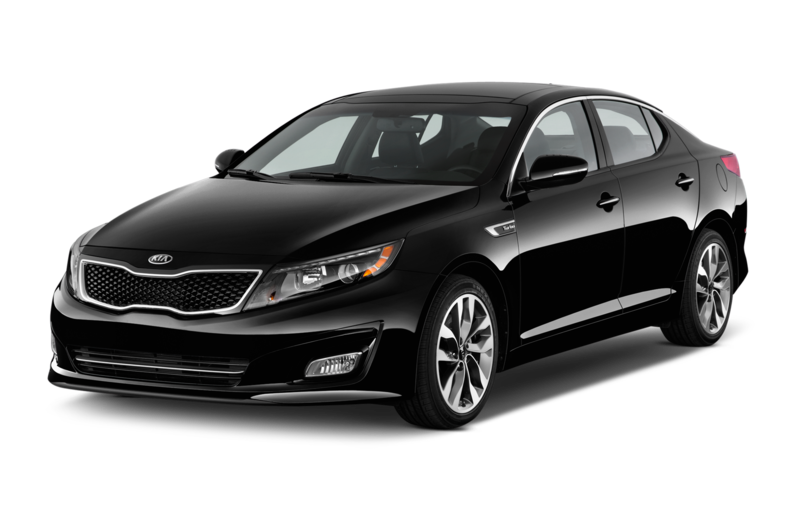 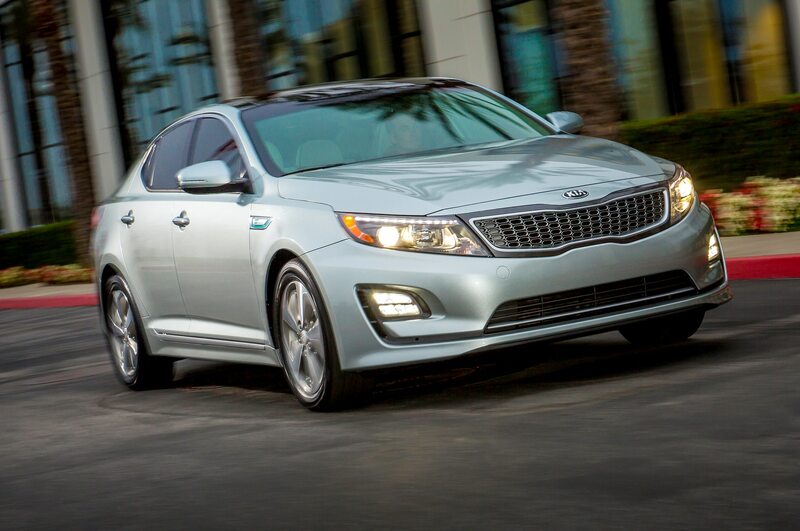 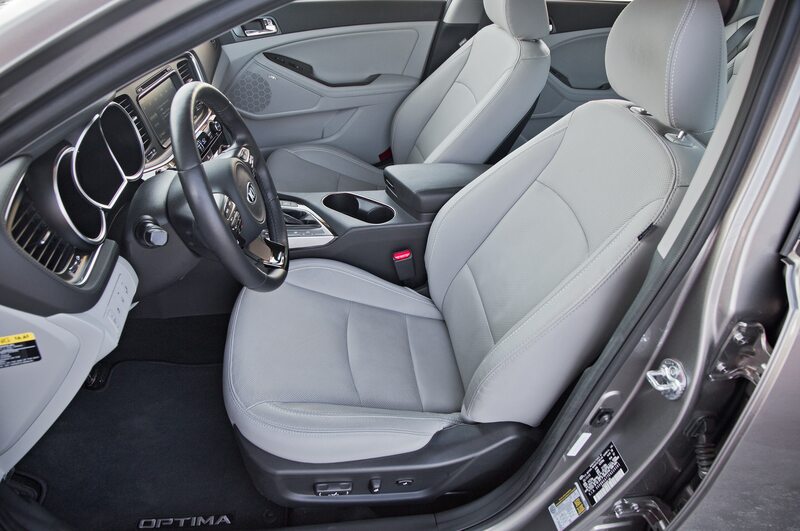 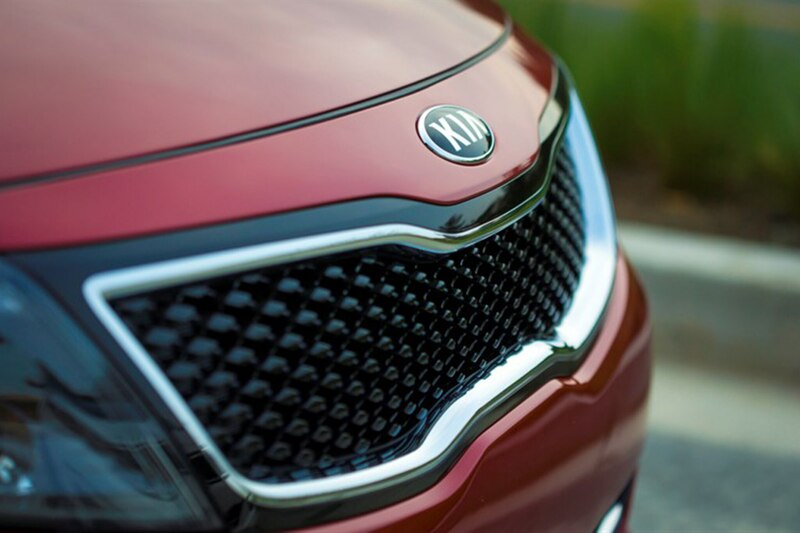 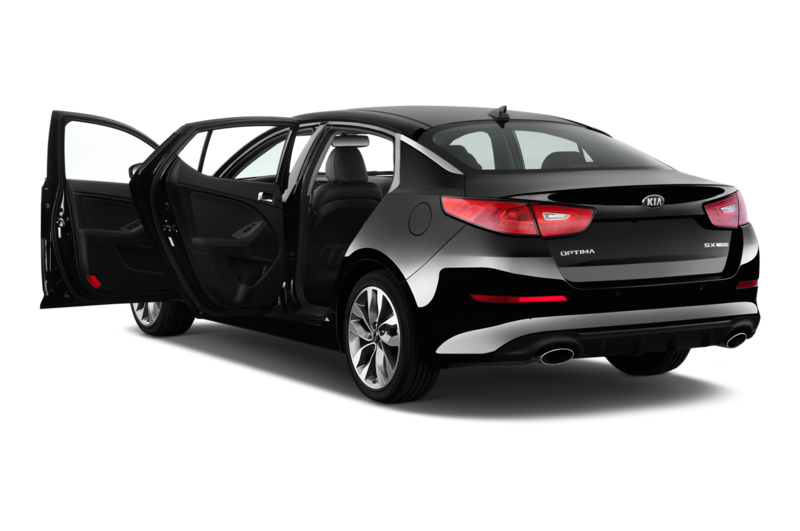 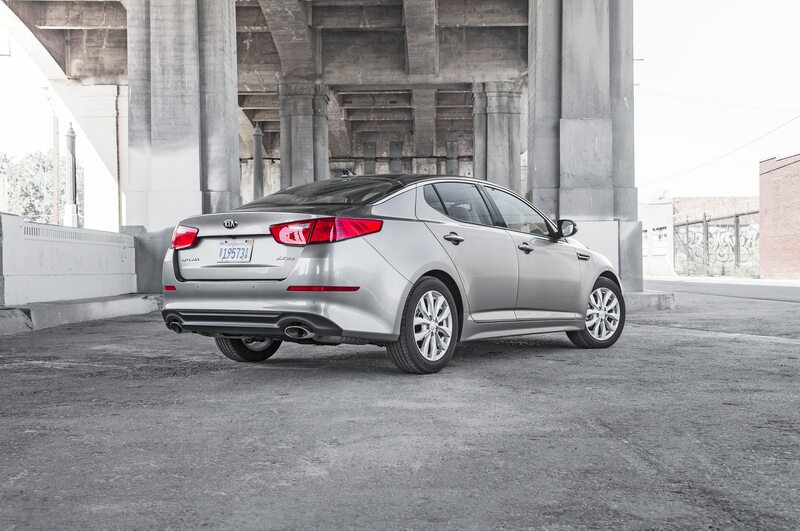 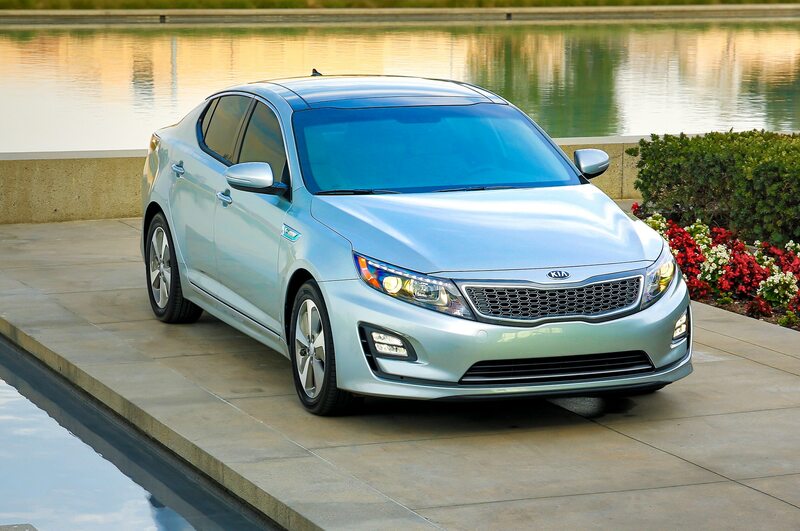 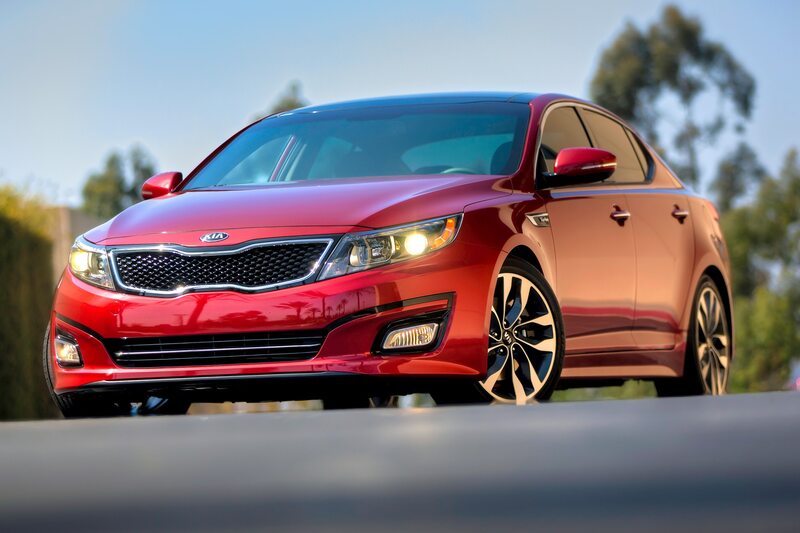 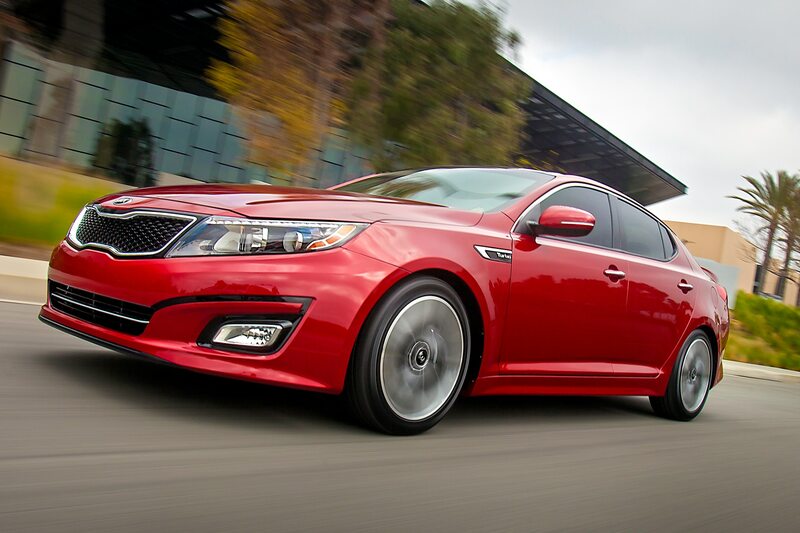 Even though the visual changes are mild, the 2014 Kia Optima remains one of the most stylish midsize sedans. 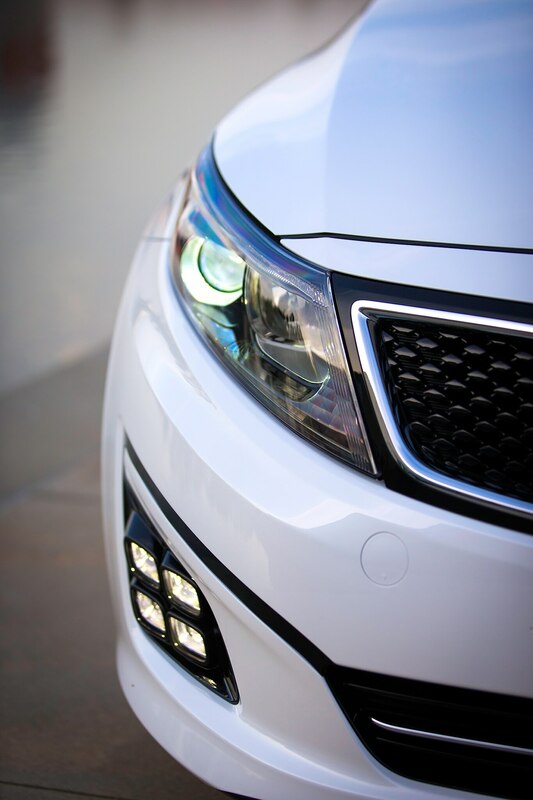 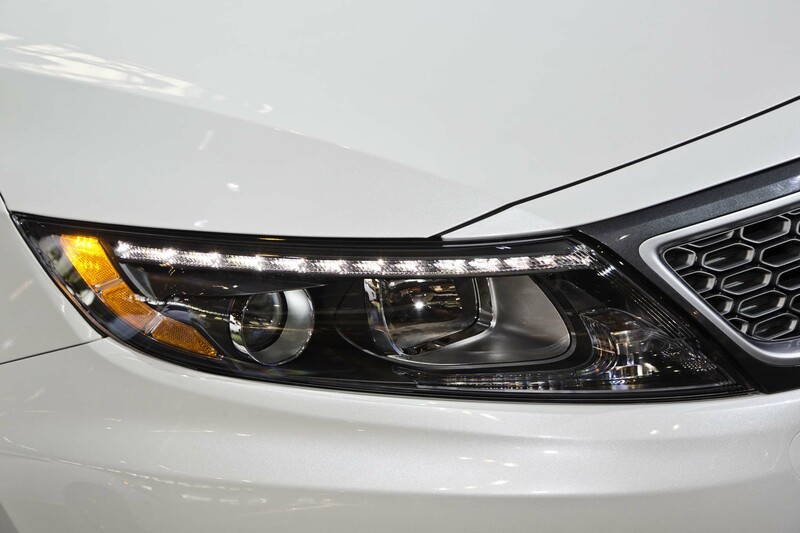 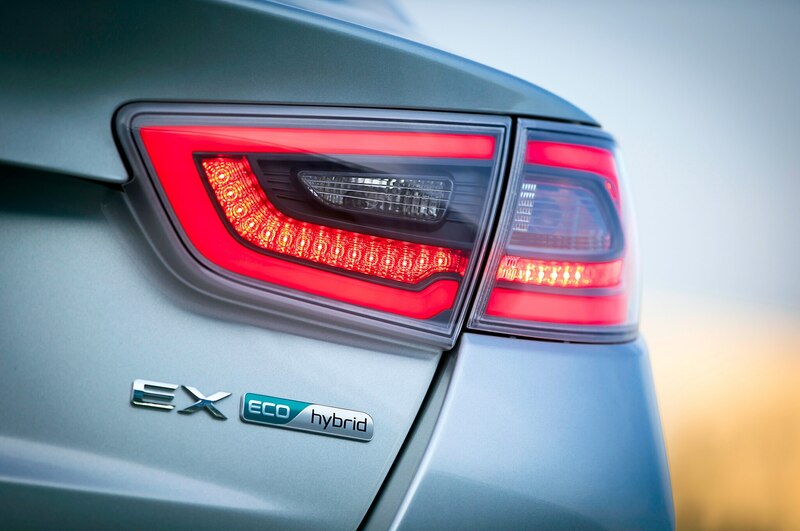 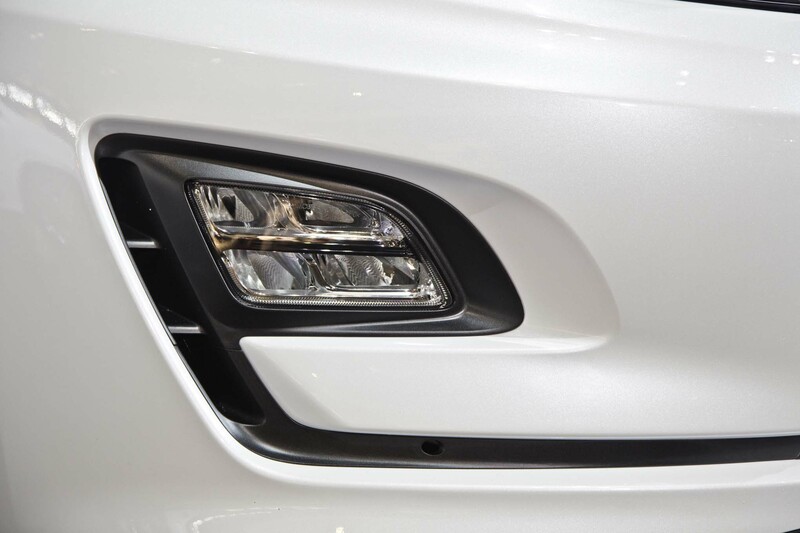 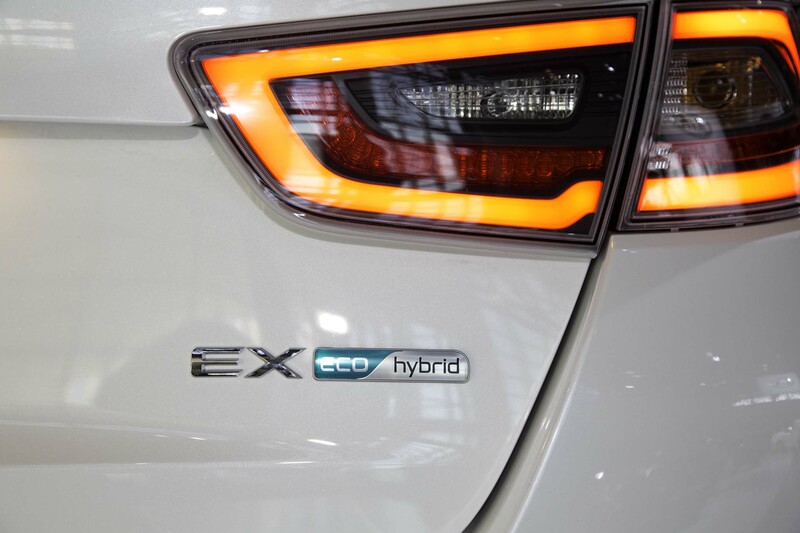 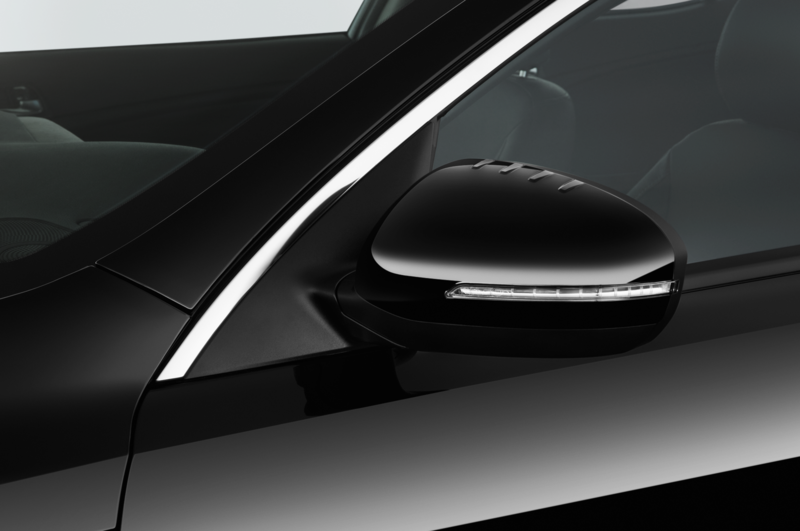 The SX trim level is even more distinctive than before; on wide-open Nevada freeways, the new LEDs that are exclusive to SX models help our testers stand out from the flat desert. 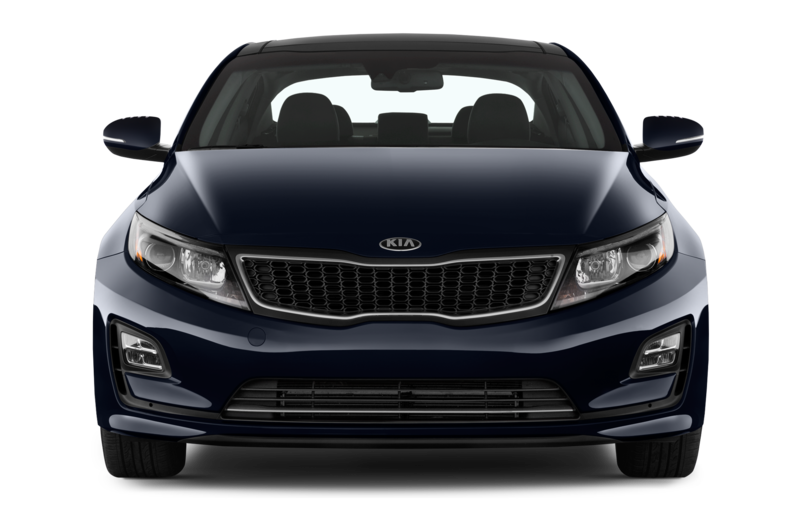 Its 18-inch wheels, dual chrome exhaust tips, and sloping rear windshield all contribute to an appearance that is more upscale and elegant than plainer three-box sedans. 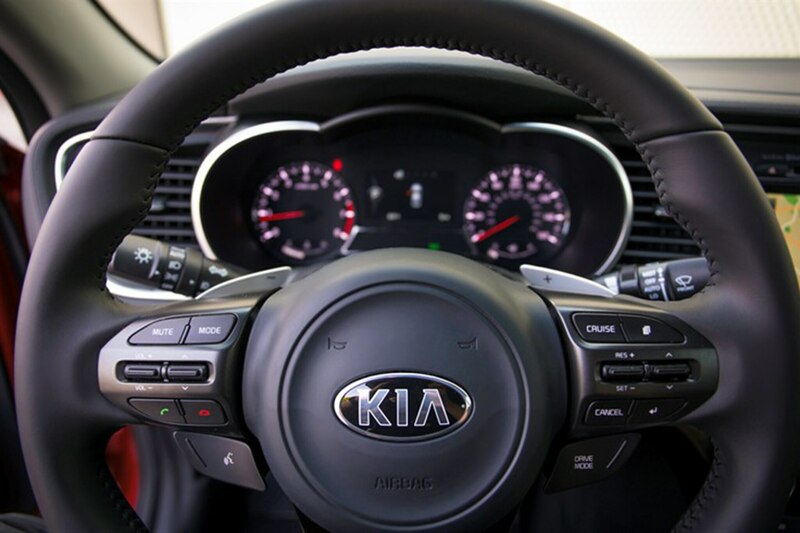 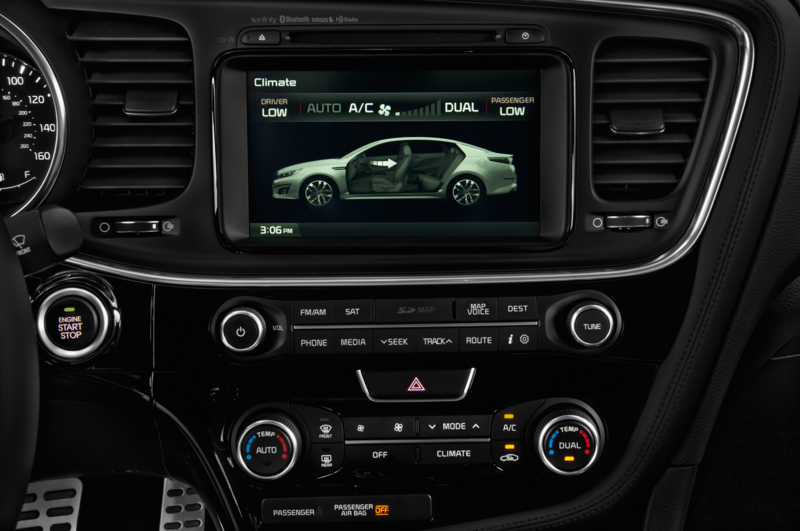 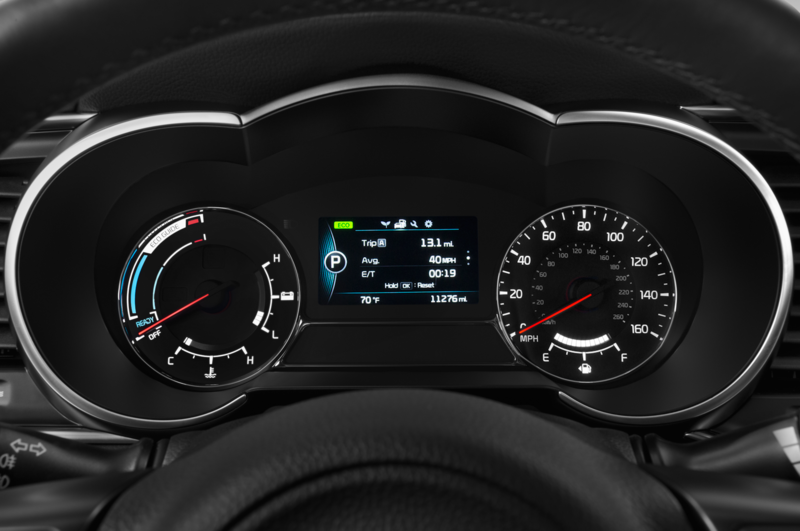 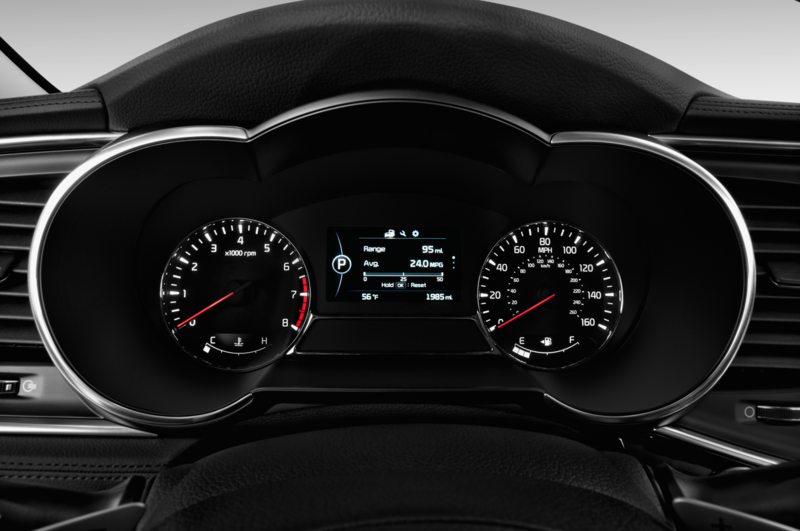 Compared to other versions of the 2014 Kia Optima, the SX adds a 4.3-inch screen in the instrument cluster. 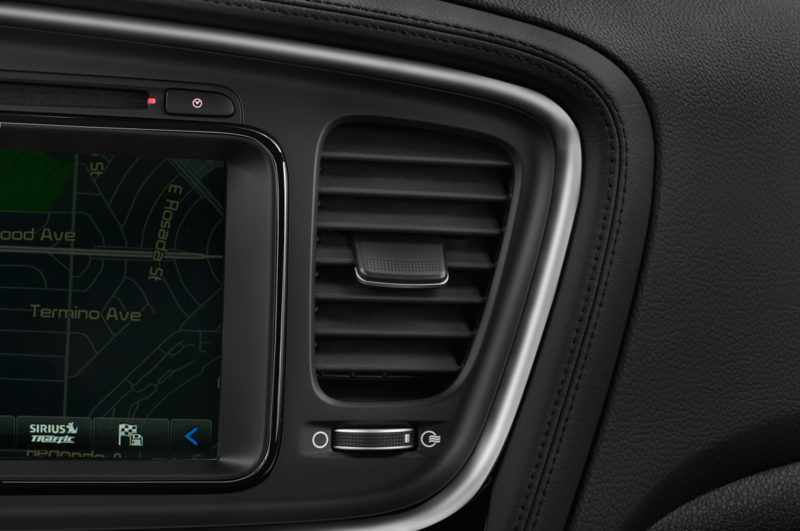 It allows drivers to toggle between trip information and other data that’s displayed in clear, legible bright fonts. 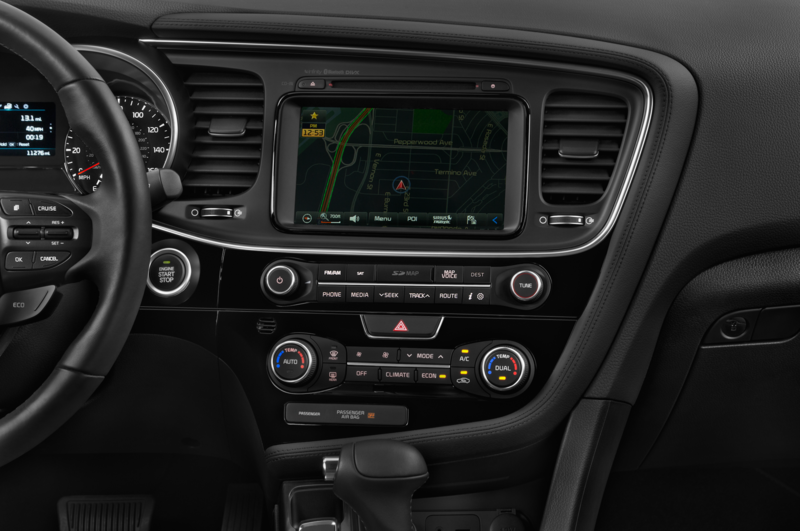 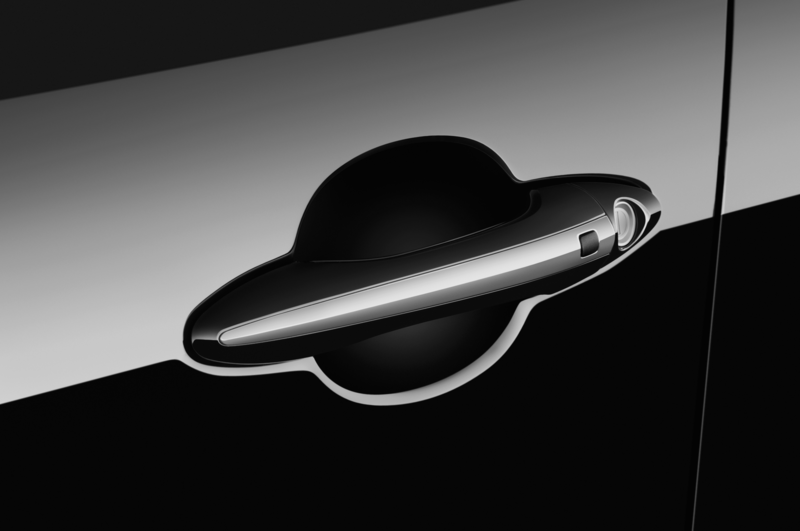 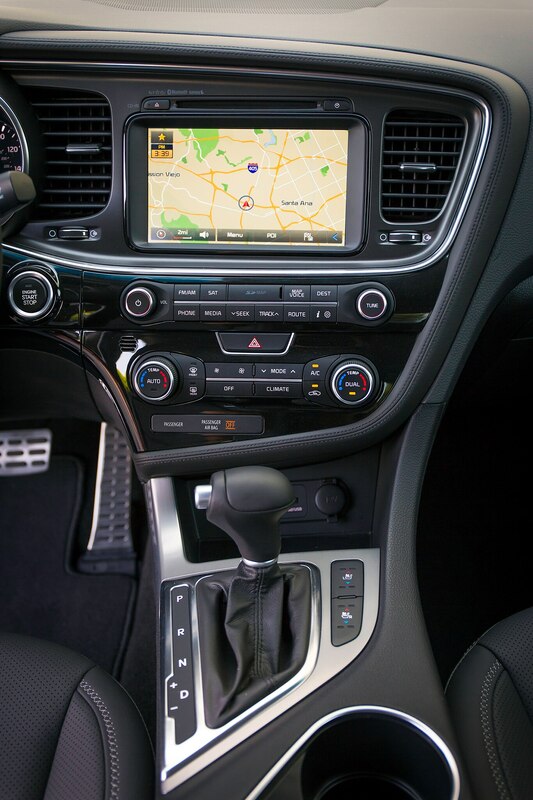 The 8.0-inch touchscreen in the center stack, meanwhile, is one of the most straightforward and intuitive infotainment systems in the marketplace. 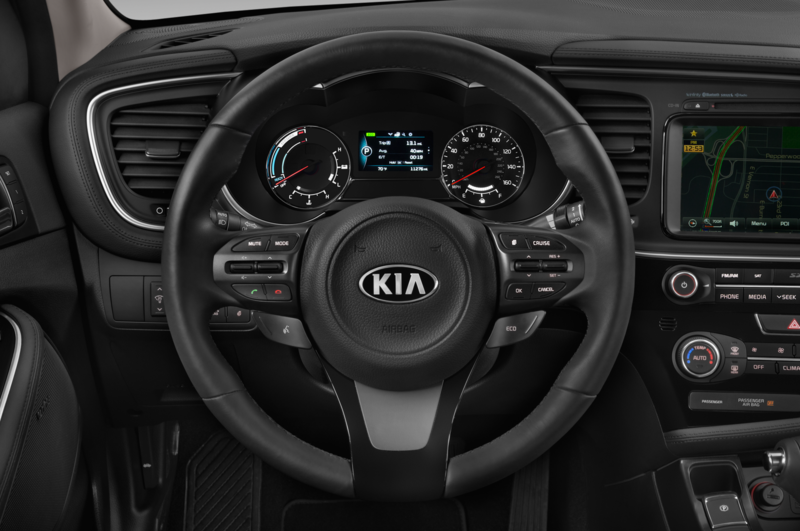 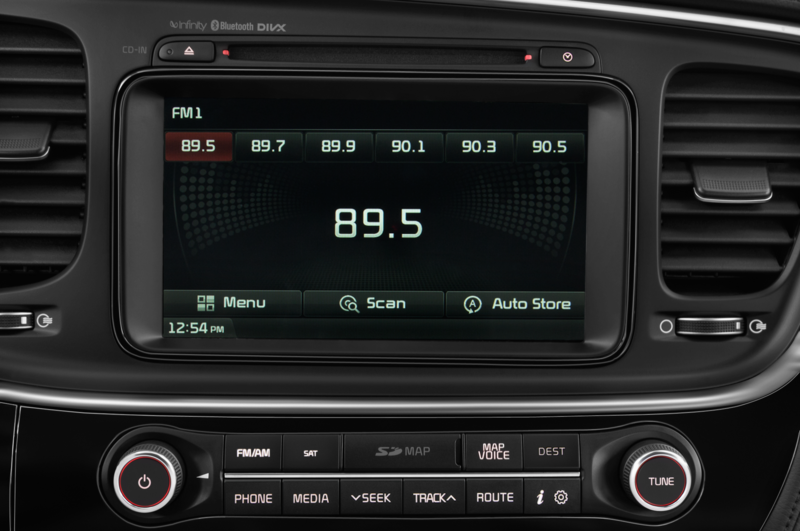 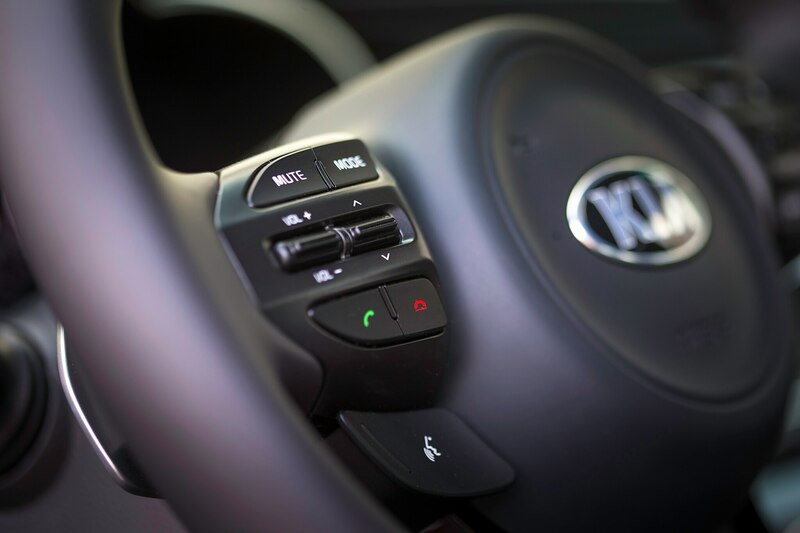 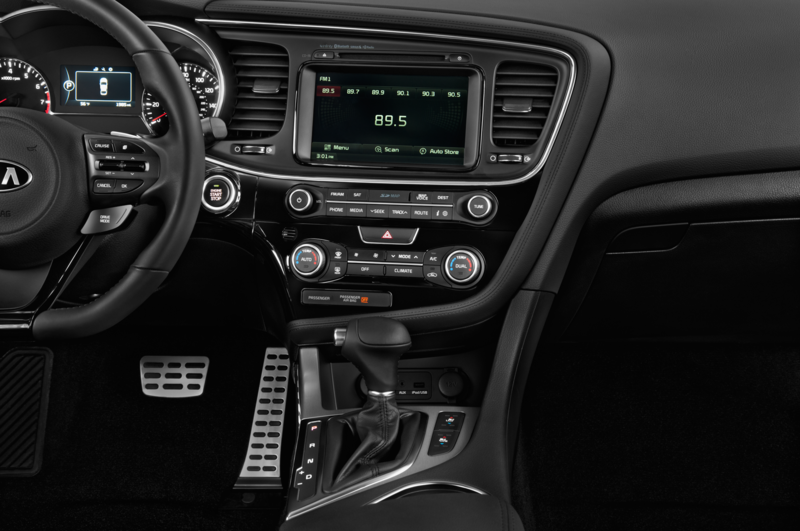 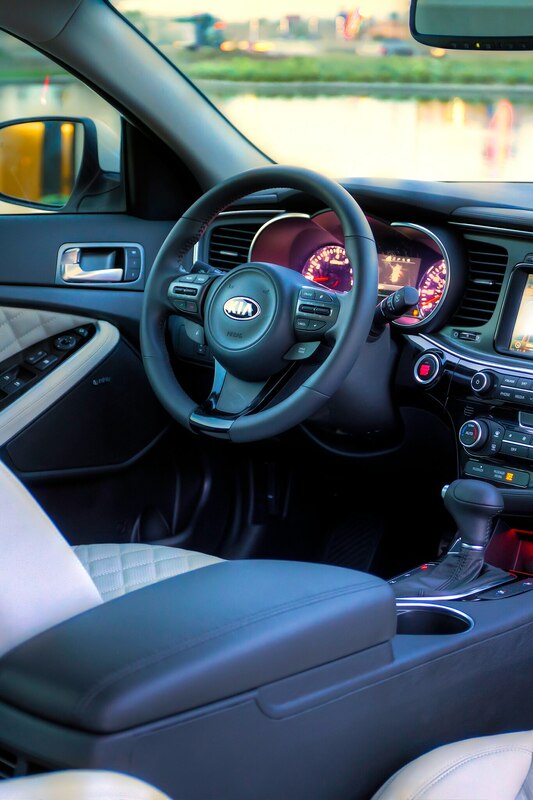 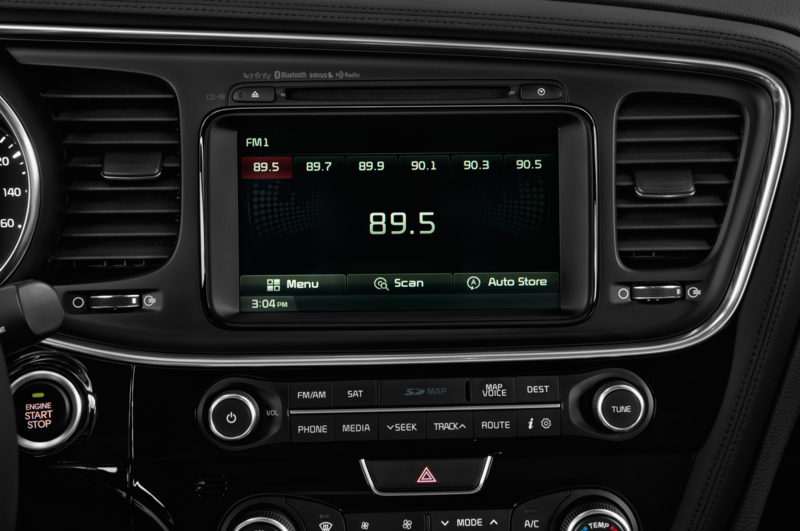 A row of redundant physical buttons below the screen allows for adjusting the volume or tuning radio stations by feel, but the touchscreen itself is easy to use for navigation, Bluetooth phone pairing, playing music, or using the Kia UVO telematics functions. 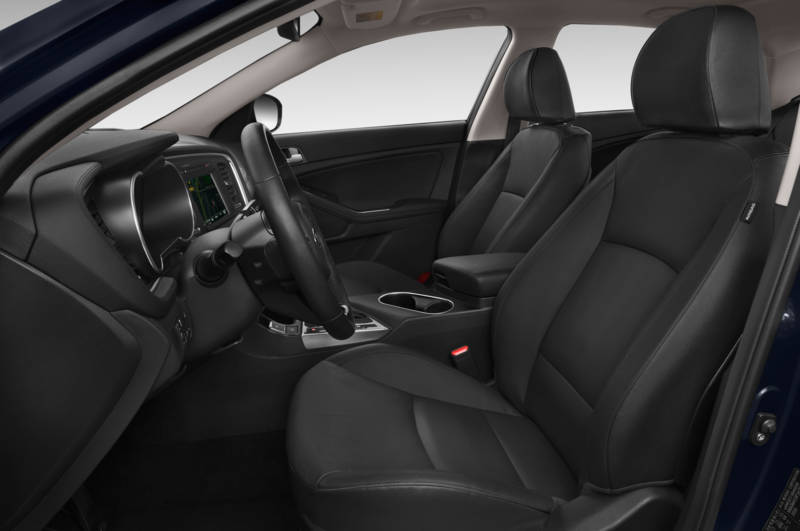 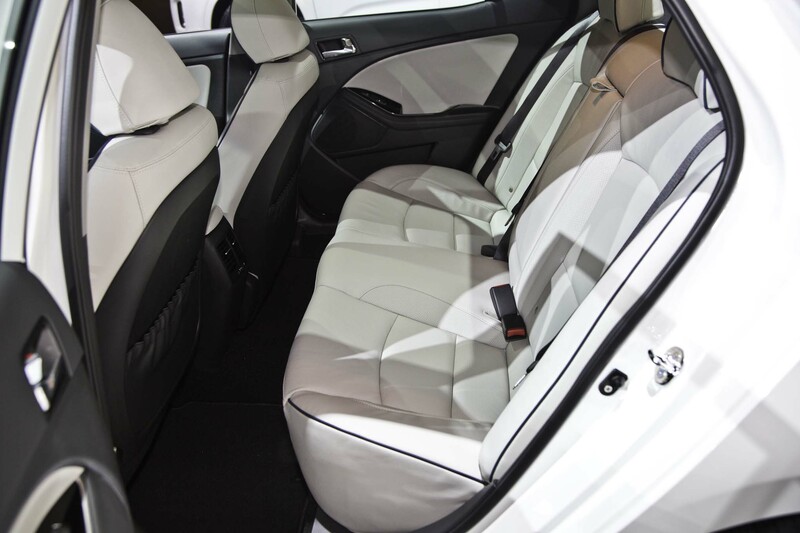 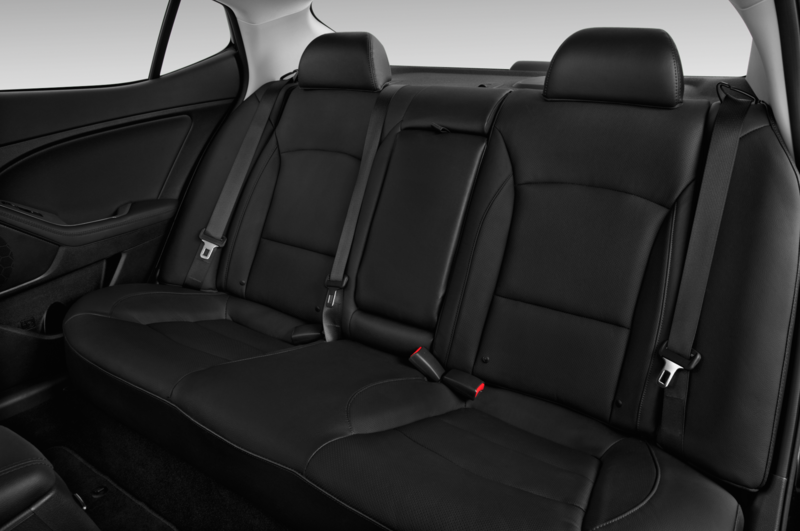 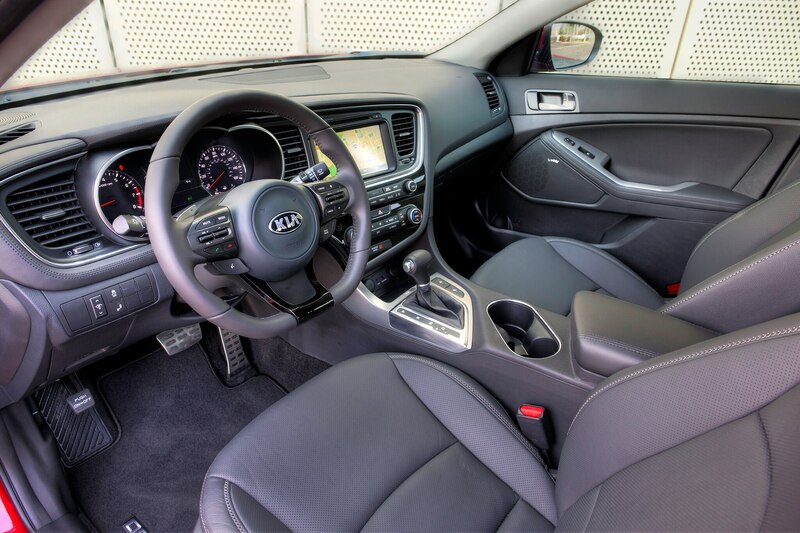 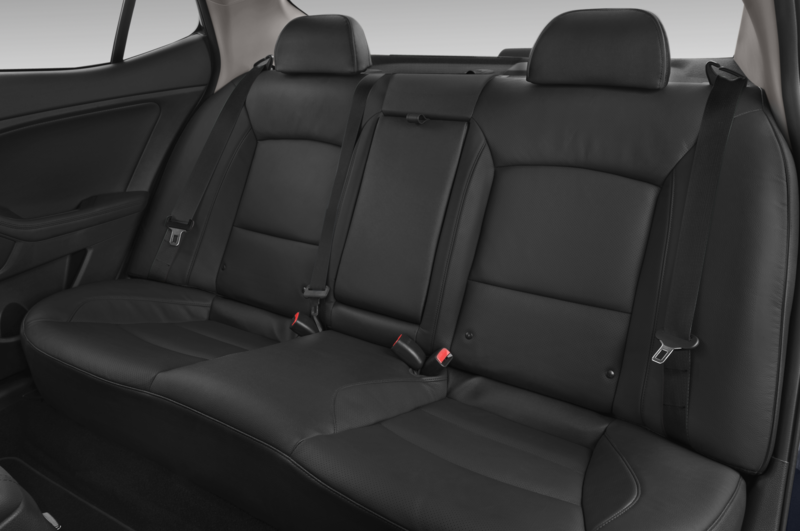 The Kia’s interior is also notable for what it lacks: noise. 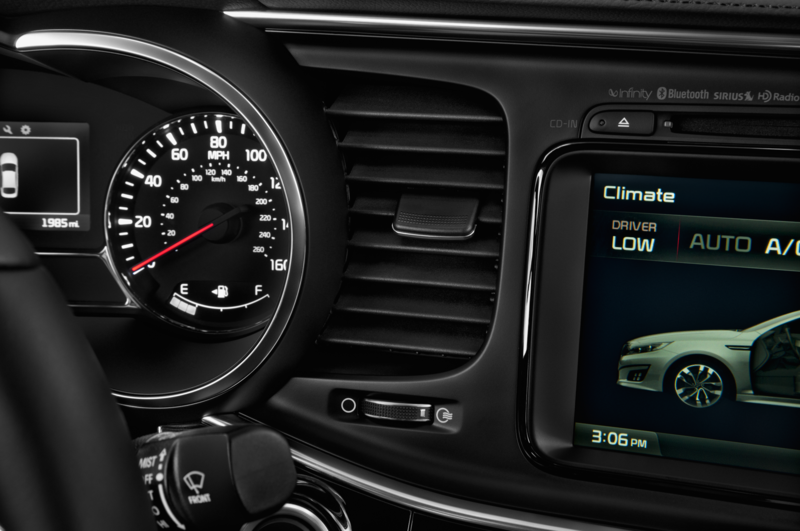 The cabin is so well insulated that almost no wind noise makes its way to occupants’ ears, even at highway speeds. 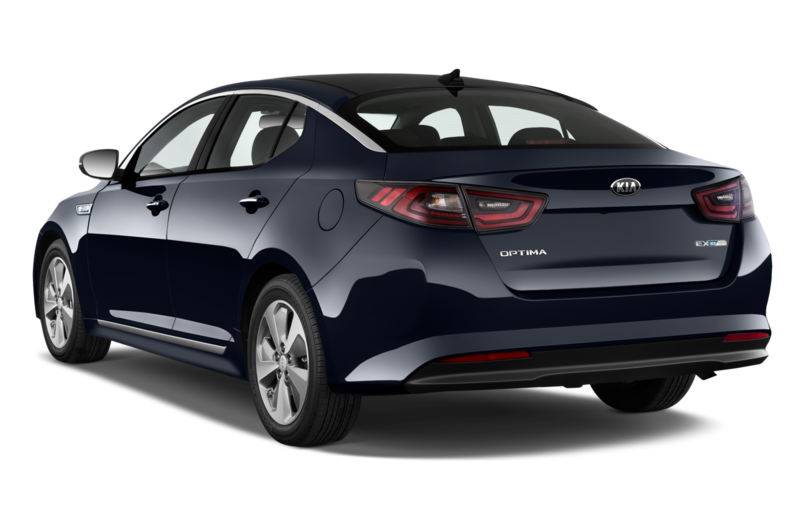 That, coupled with the reasonably plush suspension, resulting in a more upmarket ride than the Optima’s S28,000 price tag might suggest. 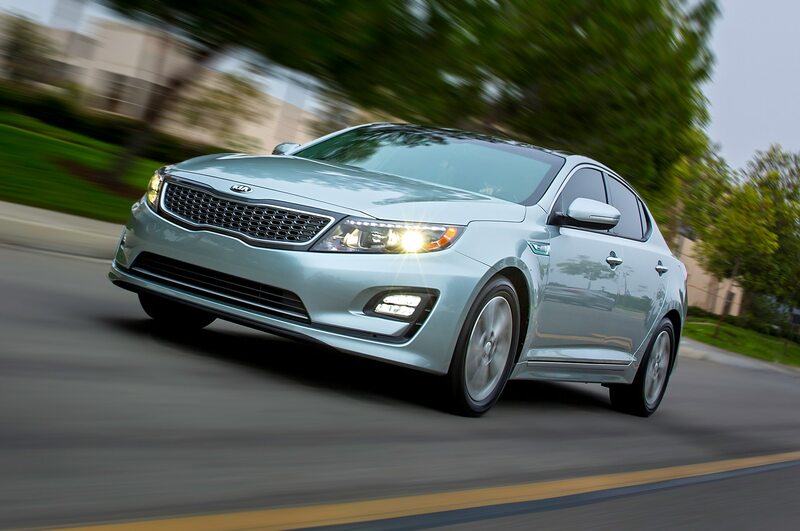 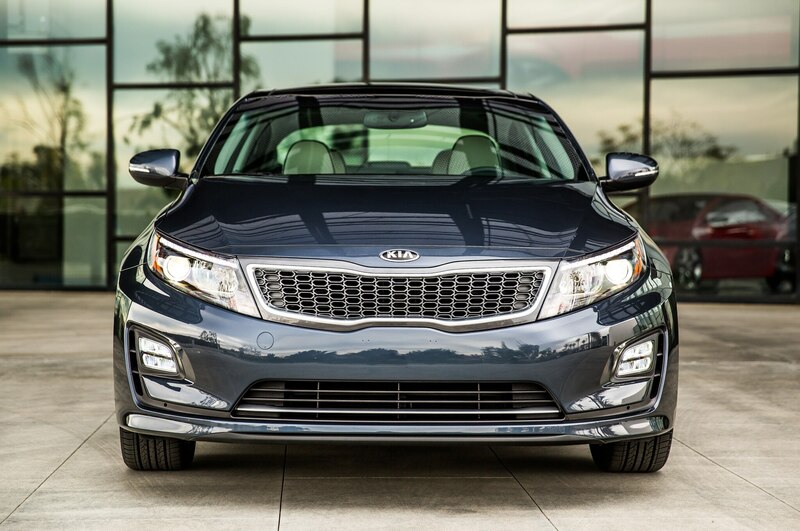 The facelift hasn’t completely transformed the 2014 Kia Optima — it still probably wouldn’t have won our Midsize Madness sedan tournament — but it does keep an interesting midsizer looking contemporary in the face of fresh competition. 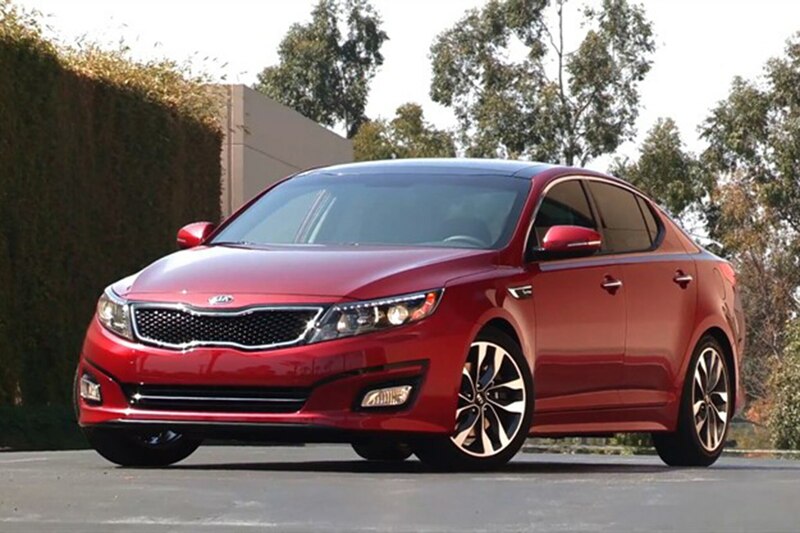 Though less exciting to drive than a Mazda 6 or Honda Accord, the Kia Optima brings strong curb appeal and a punchy turbocharged engine to an otherwise staid car segment. 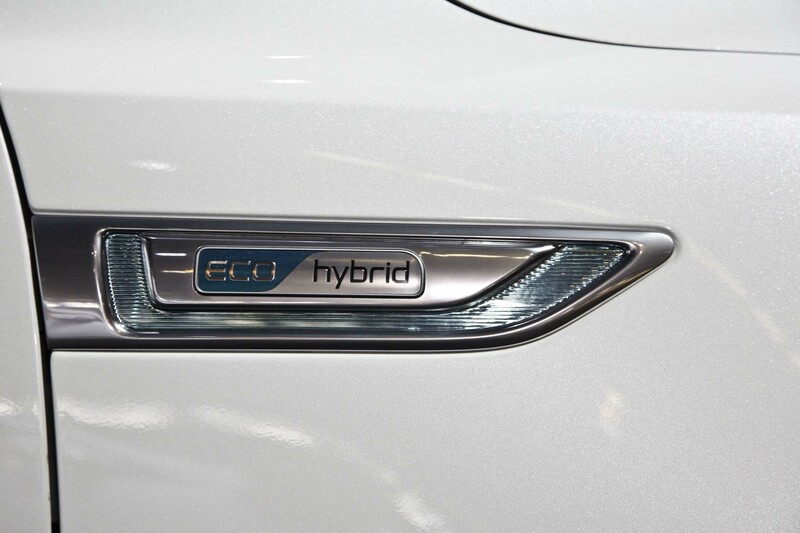 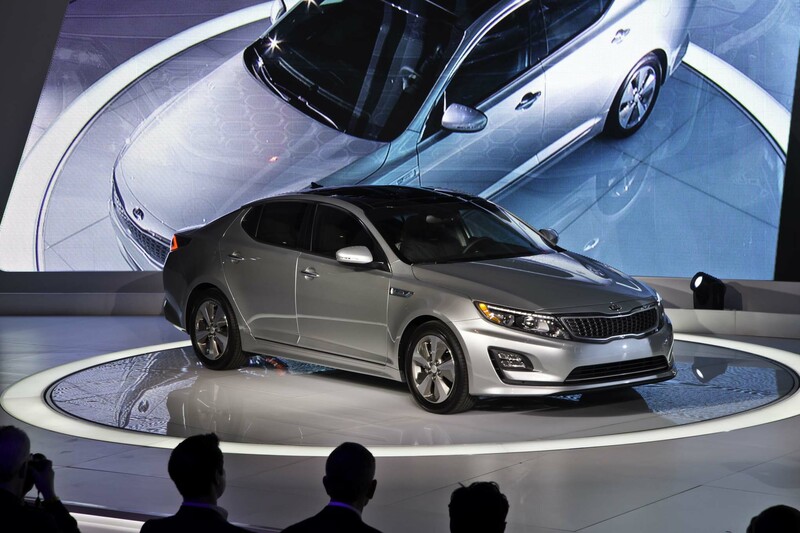 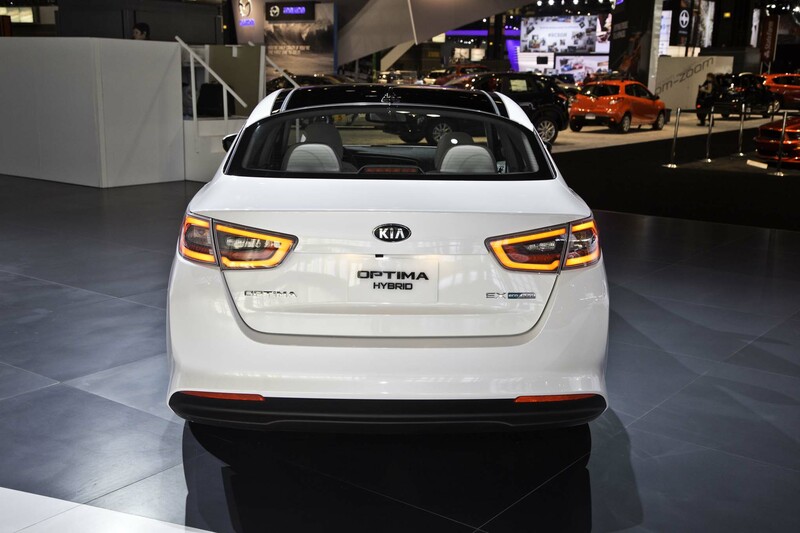 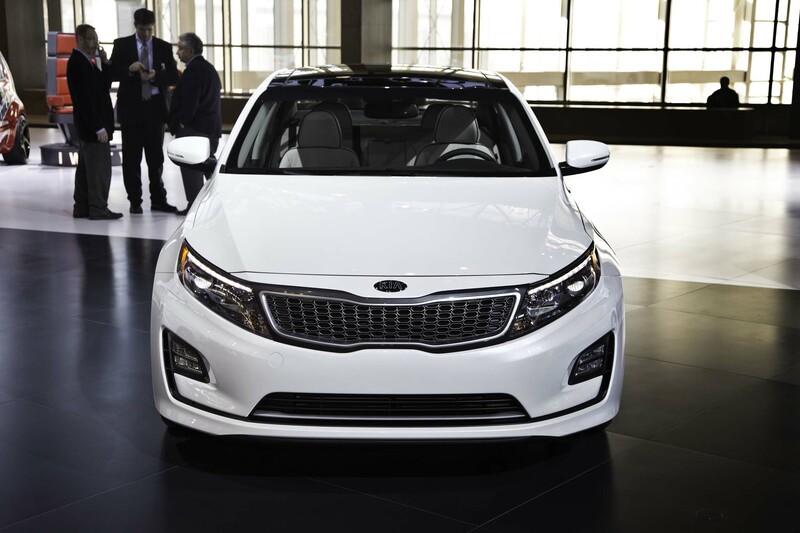 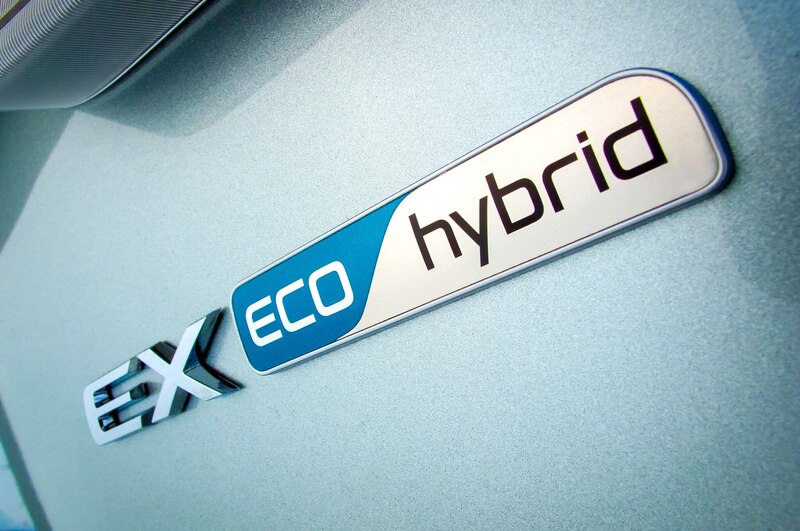 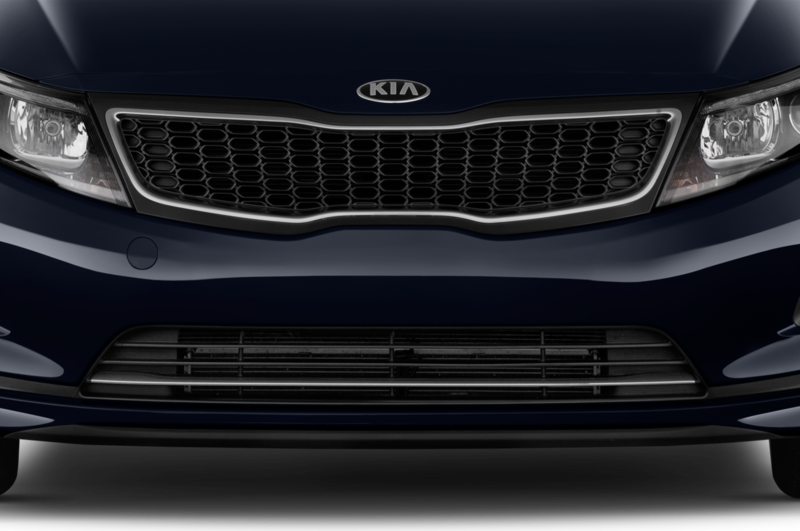 The Kia Optima Hybrid unveils with a new aerodynamic front fascia. 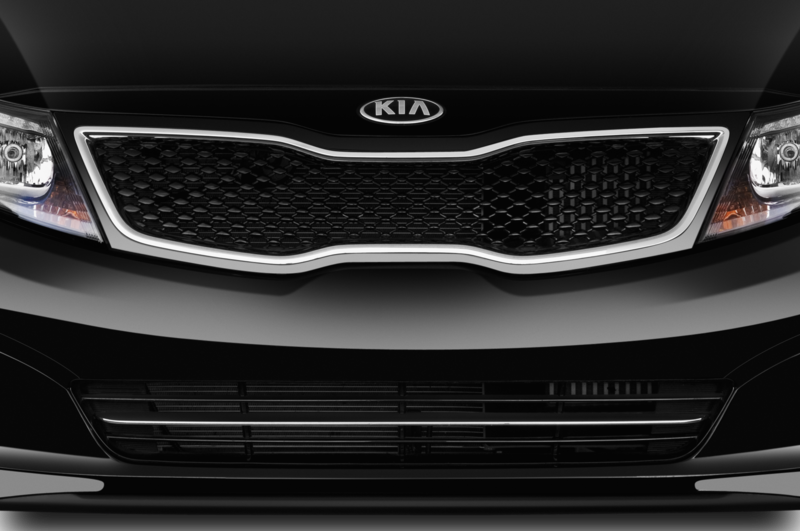 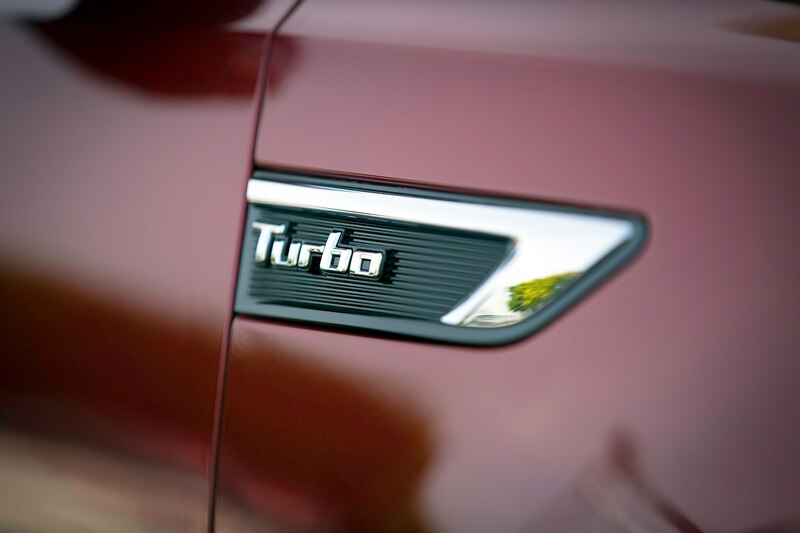 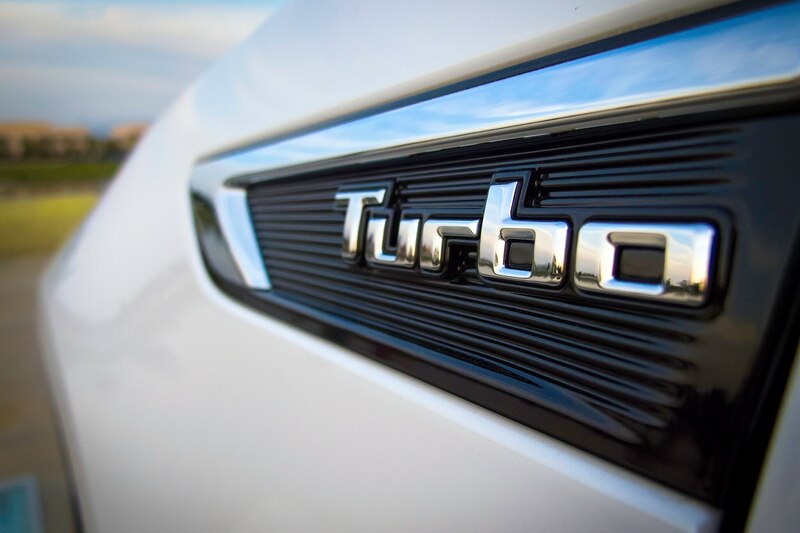 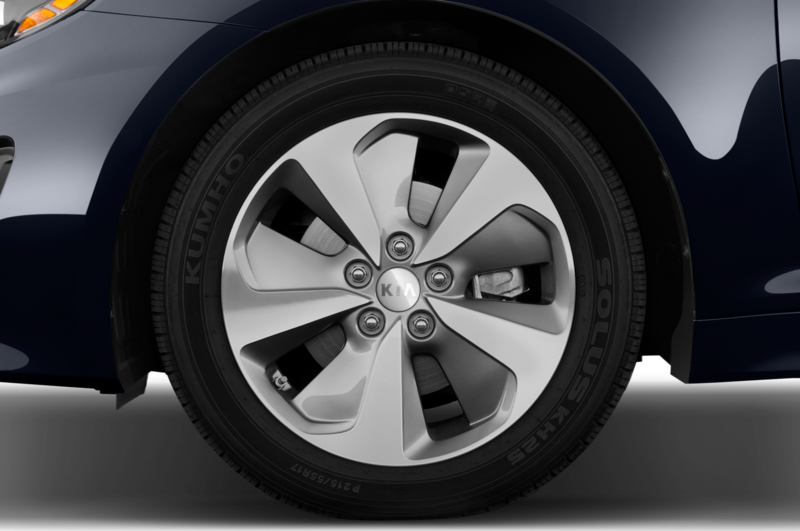 More style for Kia’s turbo midsizer. 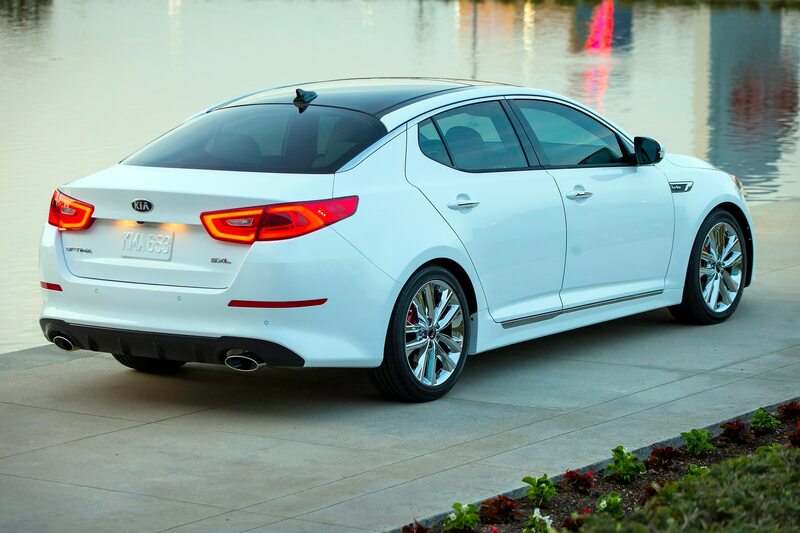 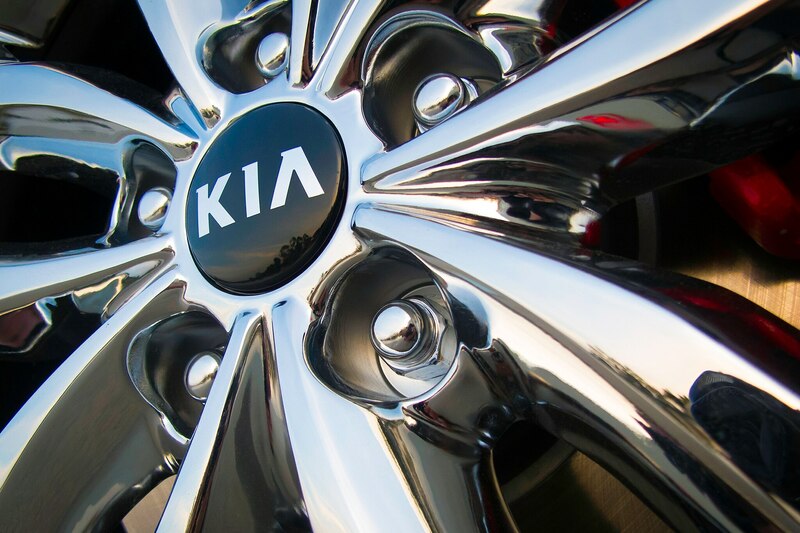 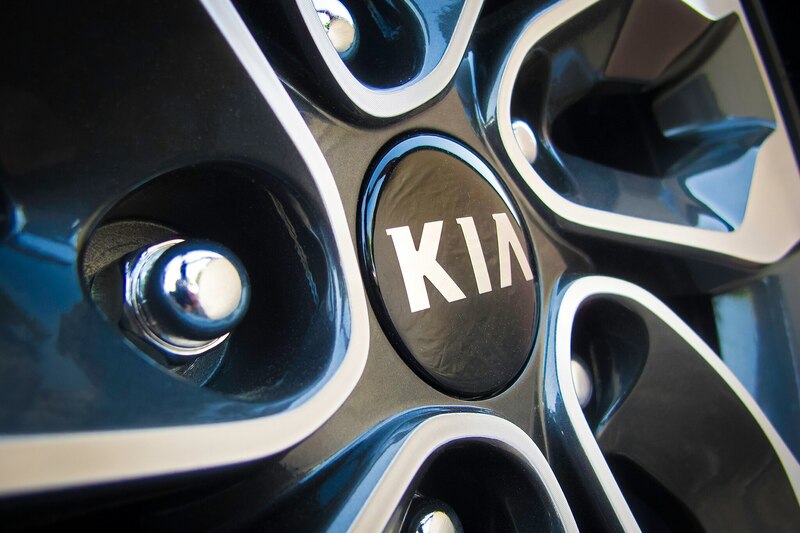 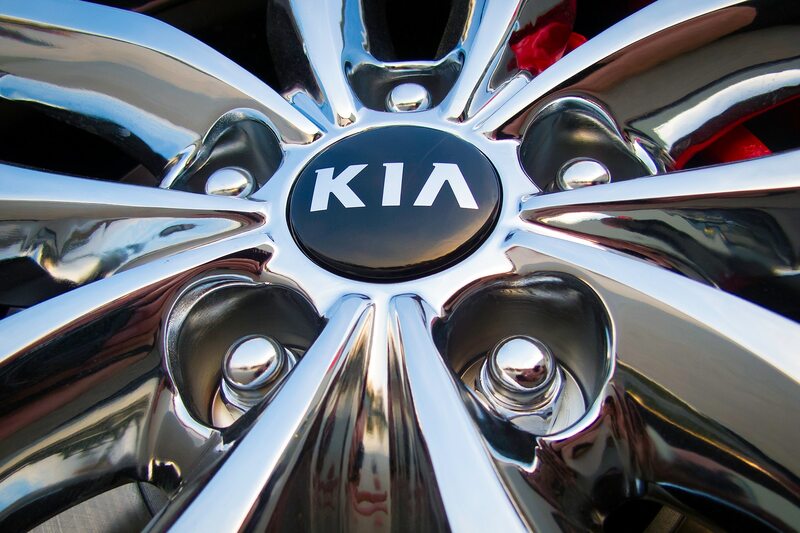 Kia’s midsize sedan gets a slight refresh for 2014.